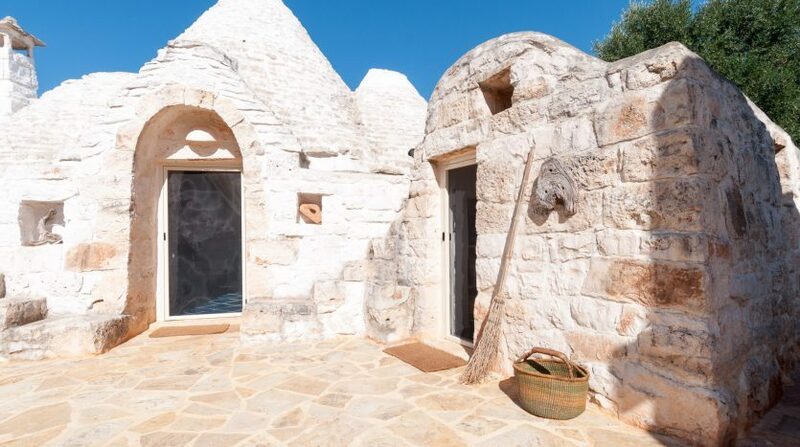 Ceglie Messapica in Apulia. 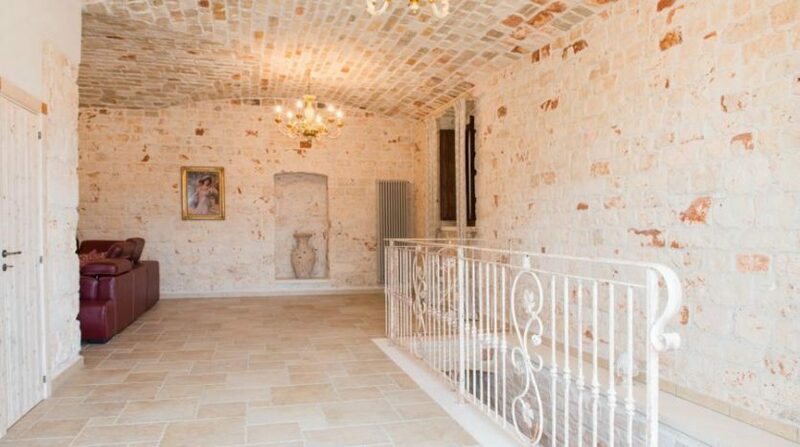 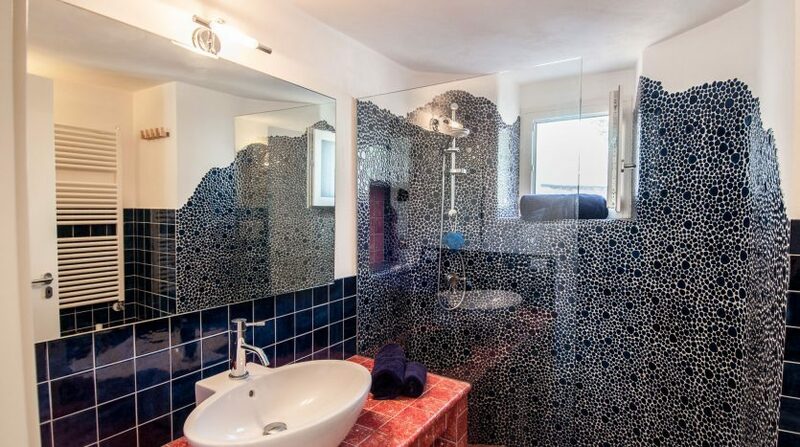 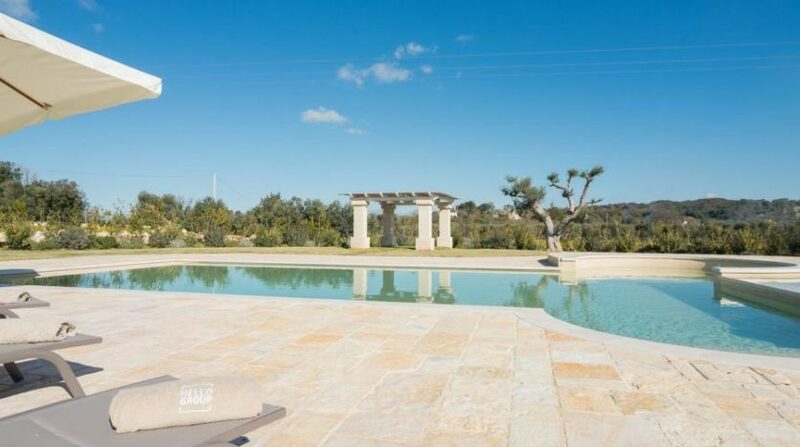 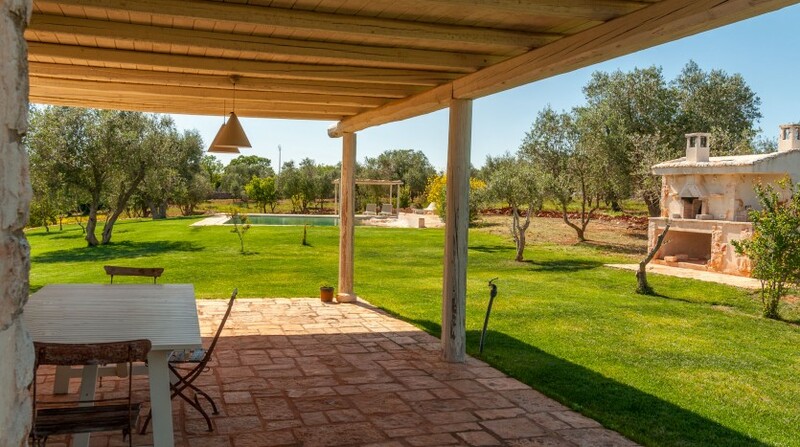 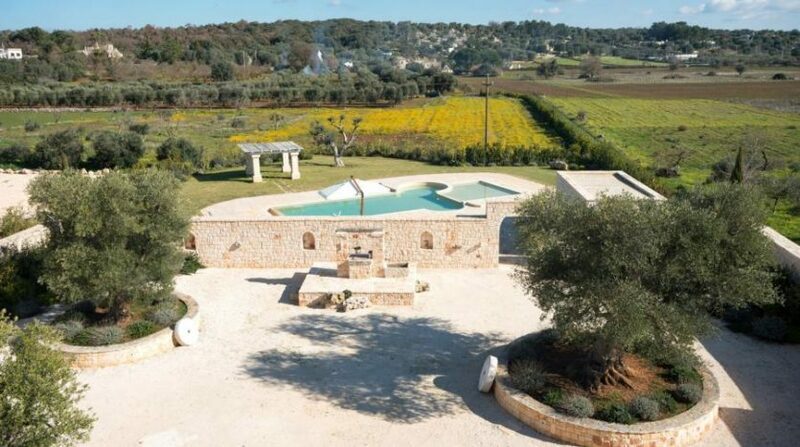 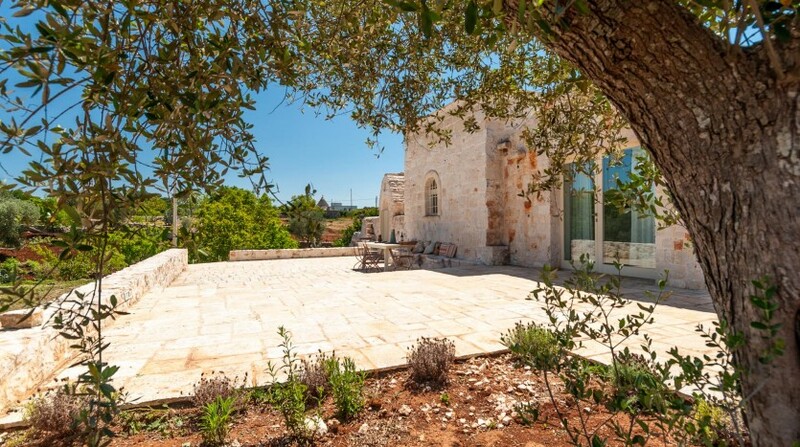 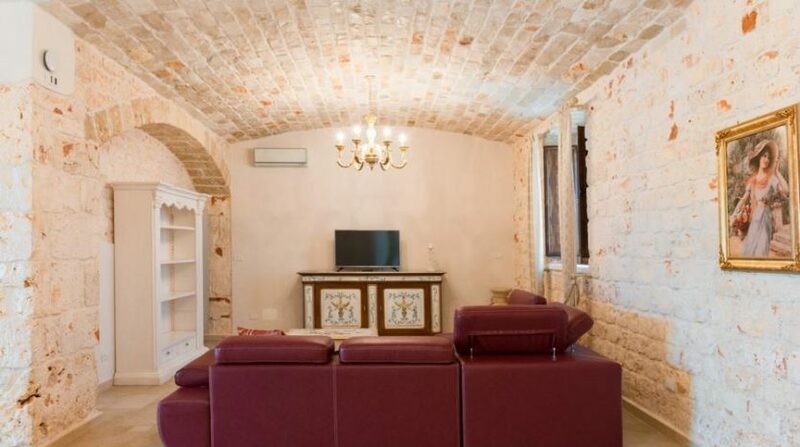 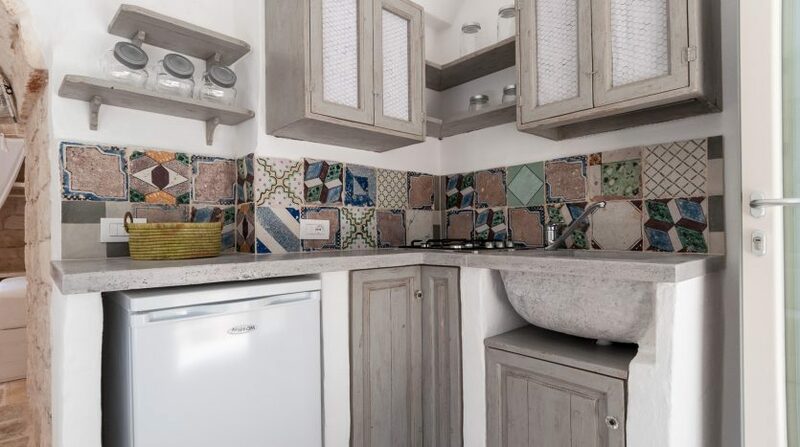 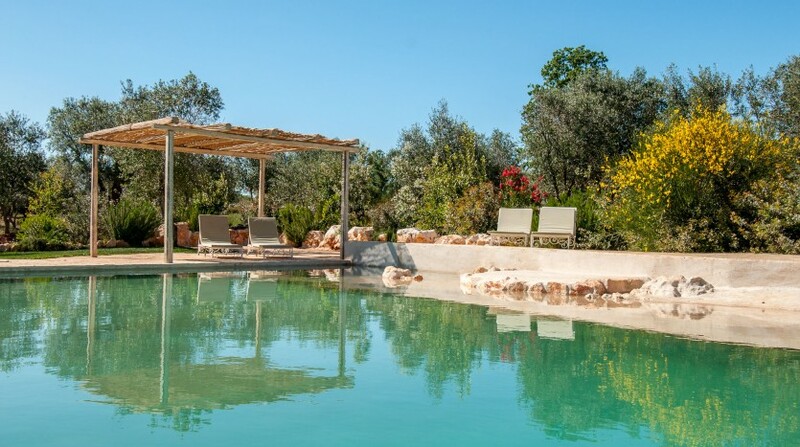 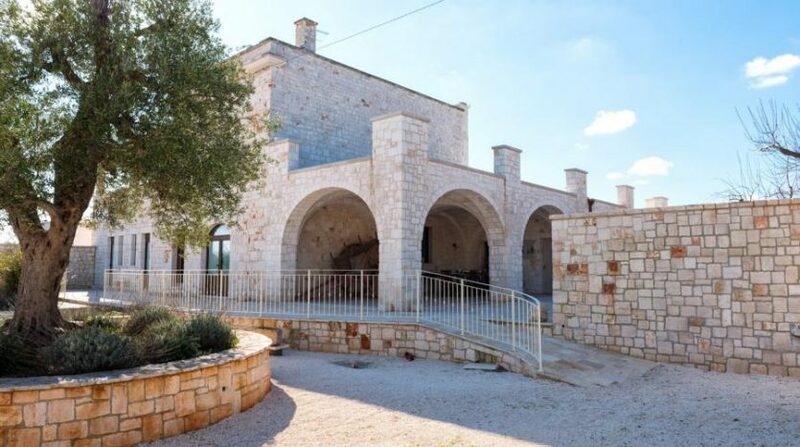 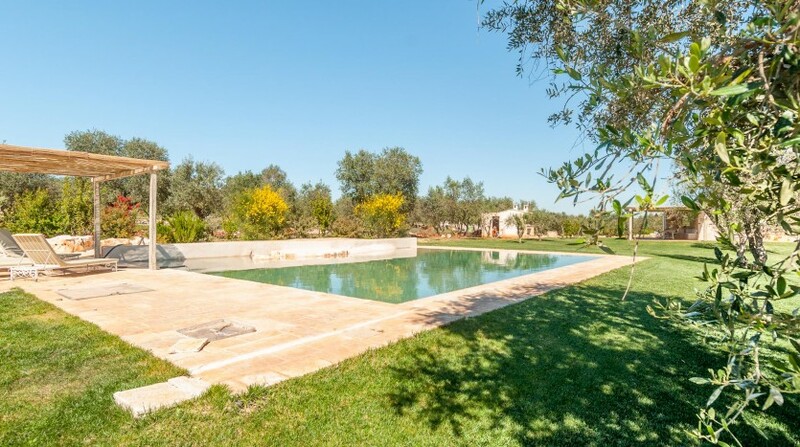 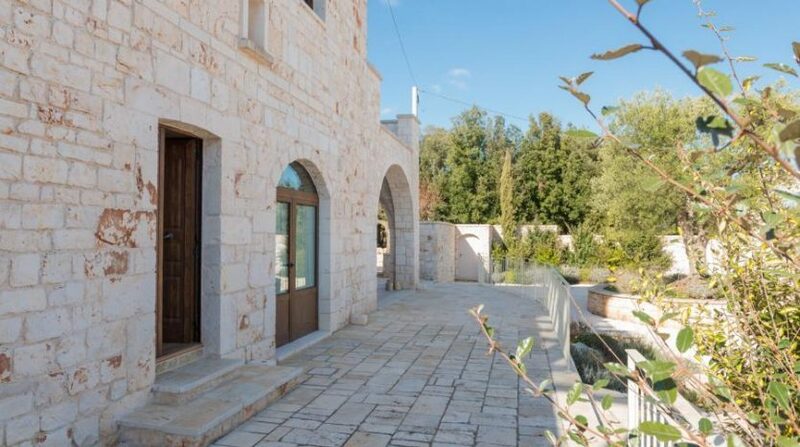 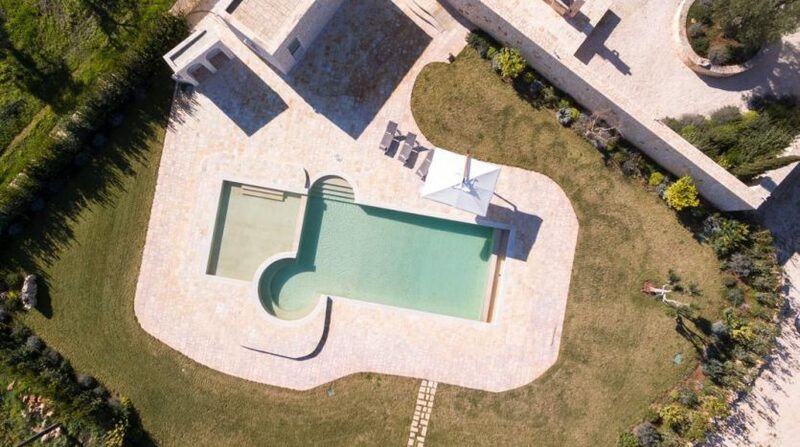 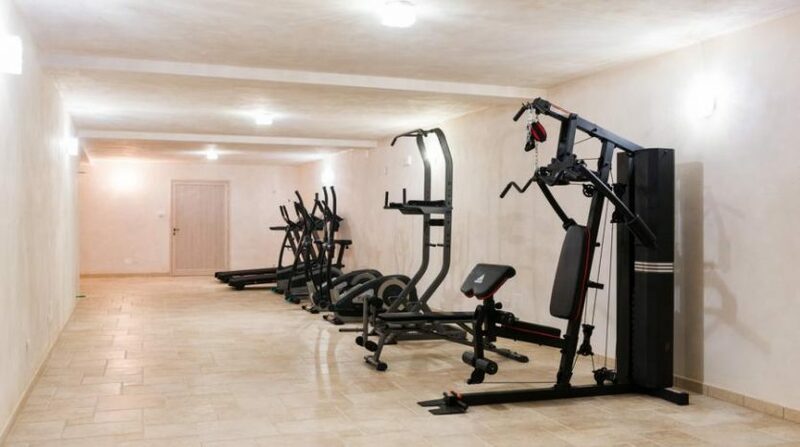 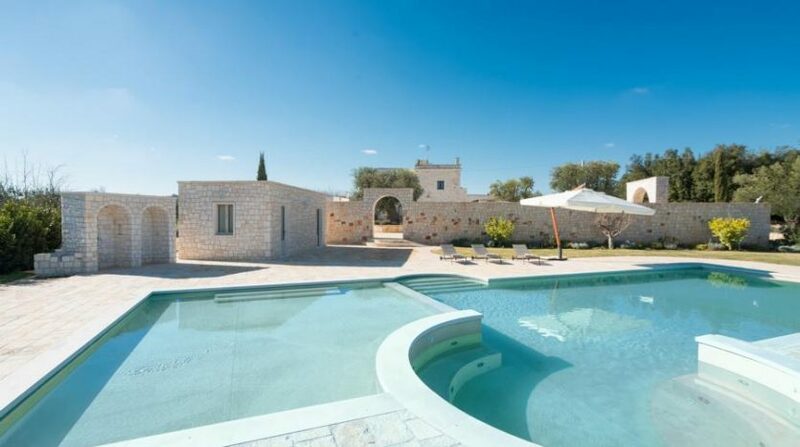 This enchanting villa with swimming pool in Apulia is the perfect destination for your holiday in Apulia, not far from the culinary capital of this region – Ceglie Messapica. 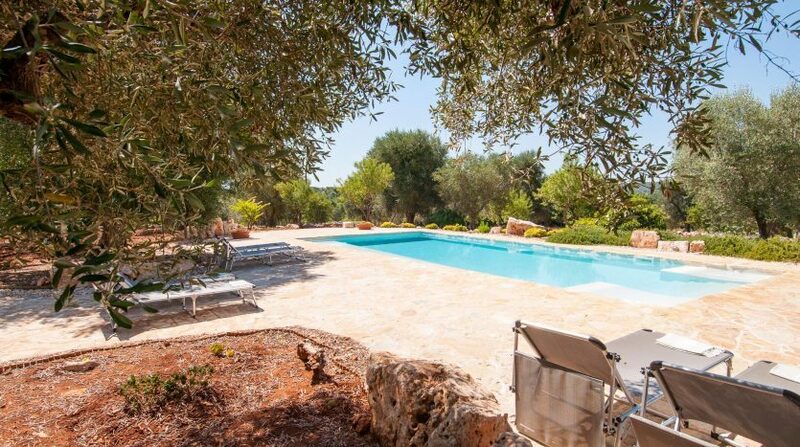 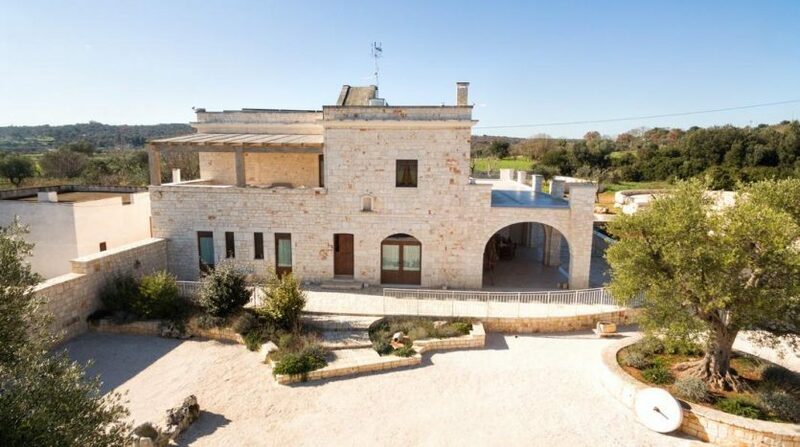 In a quiet hilltop location surrounded by the delightfully natural landscape of the Itria Valley, one of the most beautiful parts of Apulia. 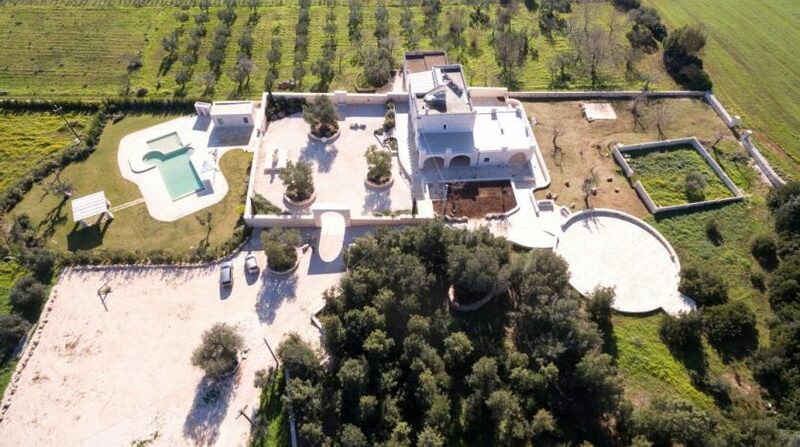 The 20,000m2 of grounds with the typical red-coloured soil of the area are home to centuries-old olive groves and fruit trees. 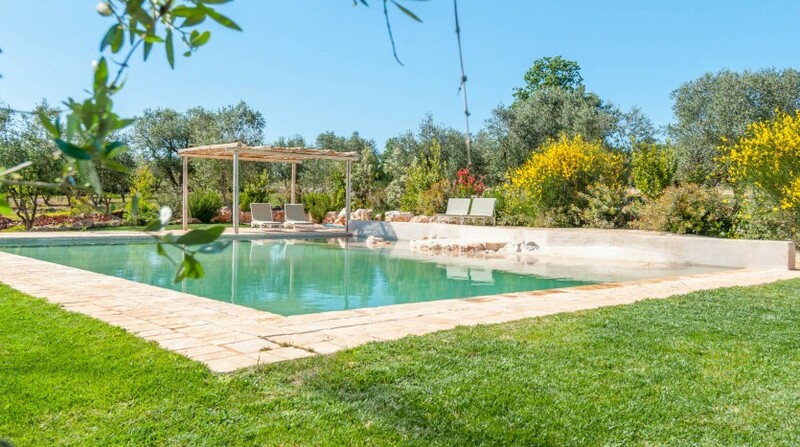 Fragrant rosemary borders the 60m2 private swimming pool, the ideal spot to cool down on a hot summer day. 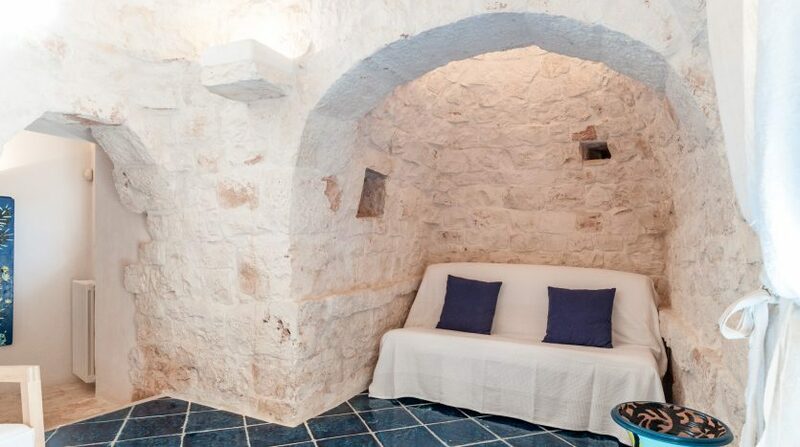 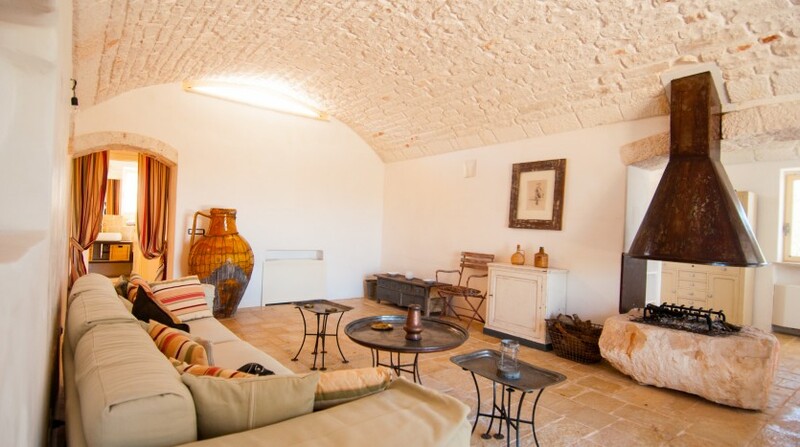 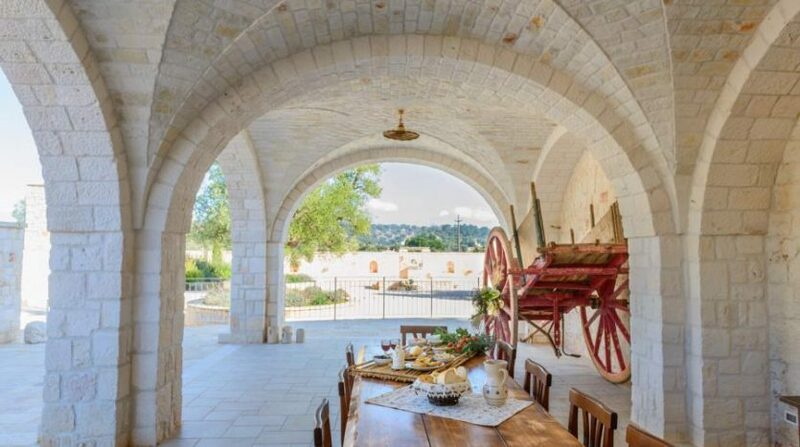 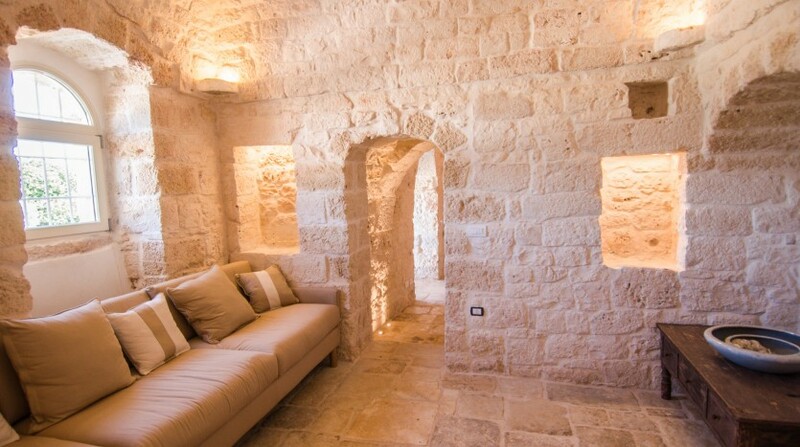 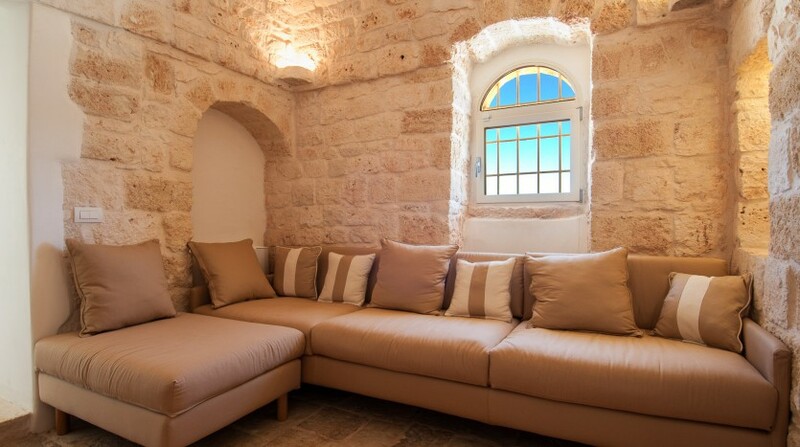 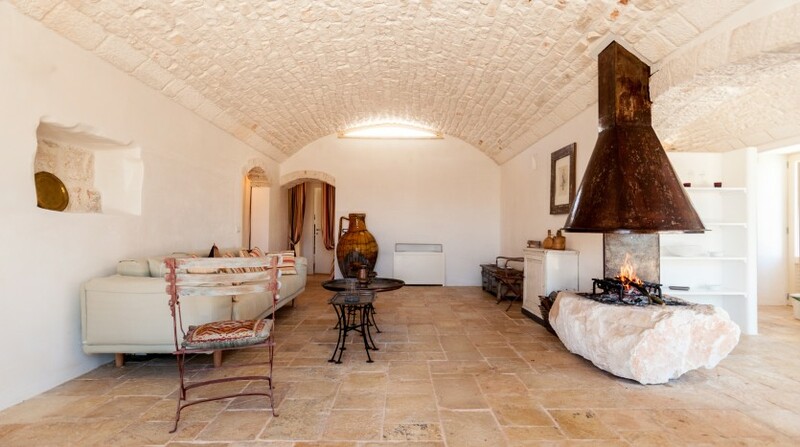 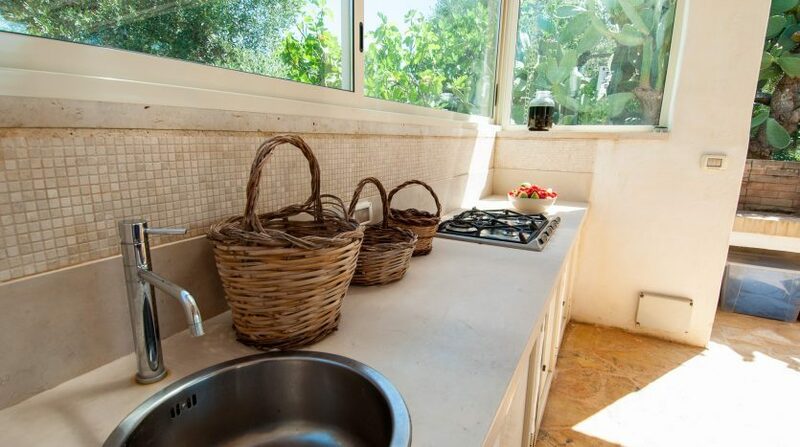 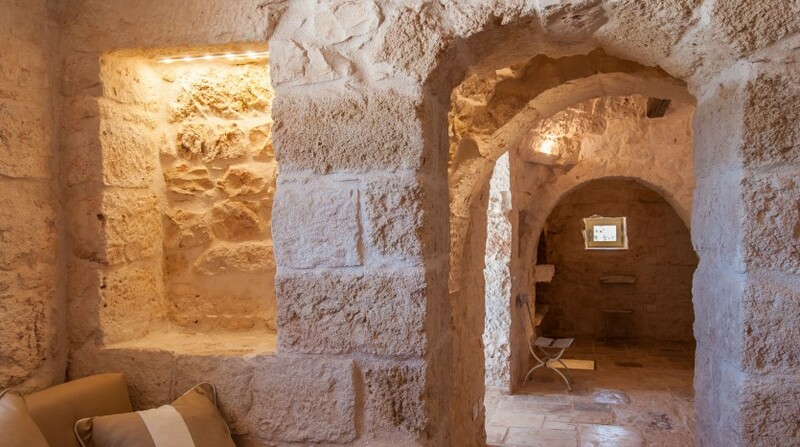 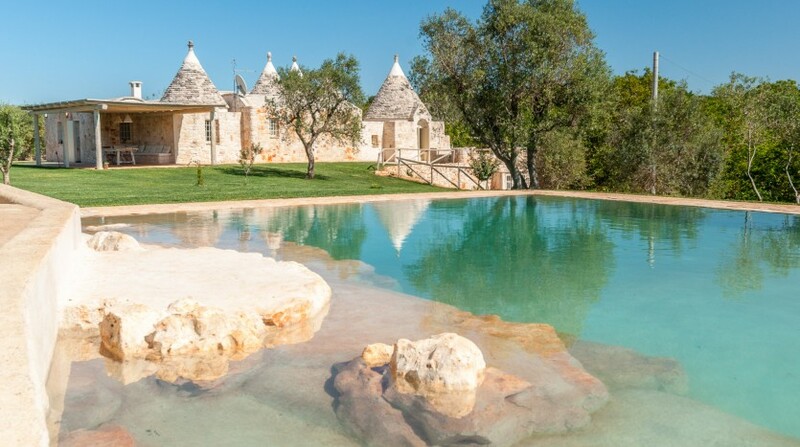 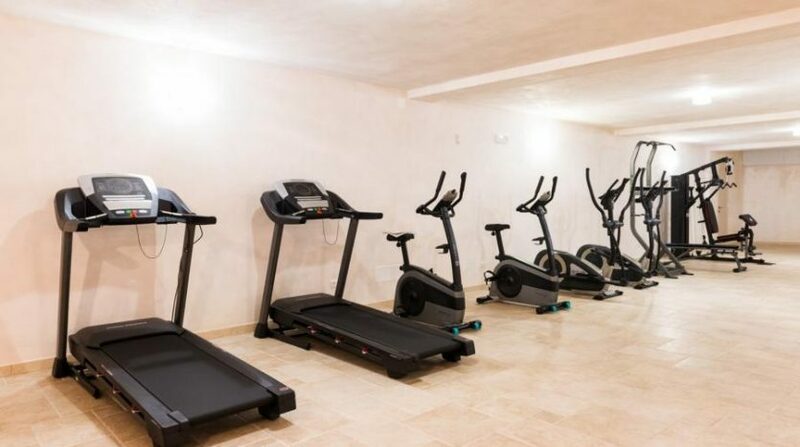 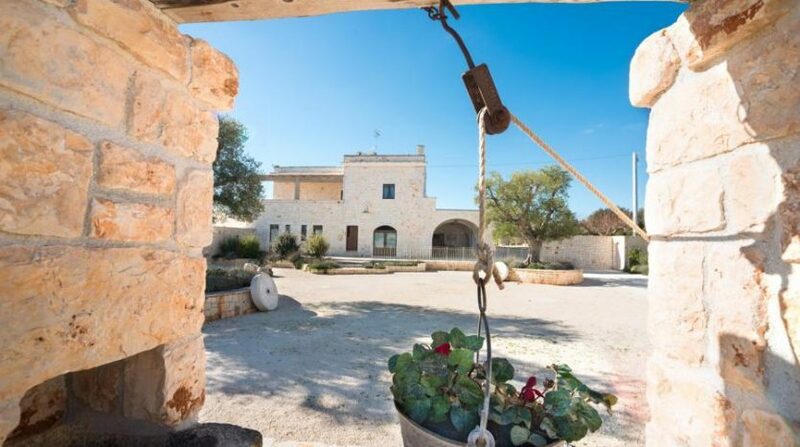 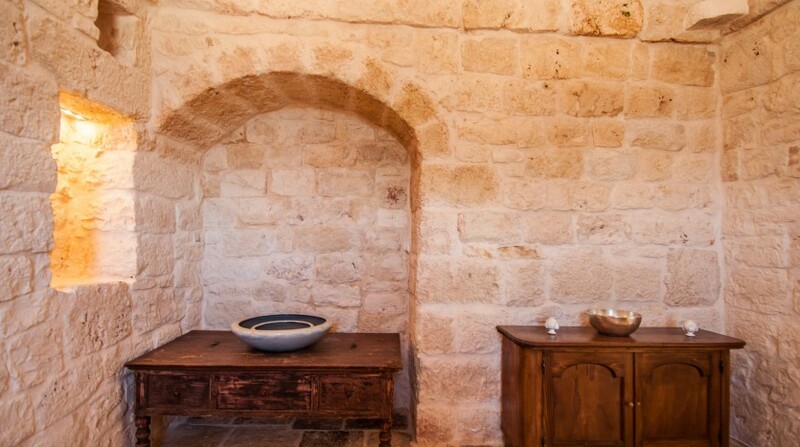 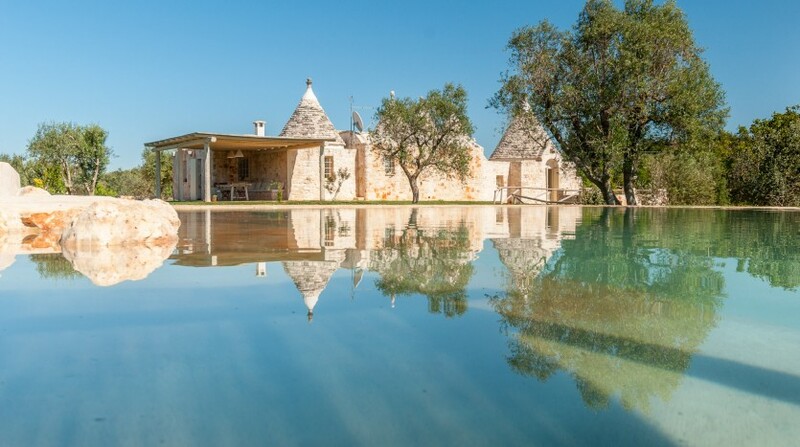 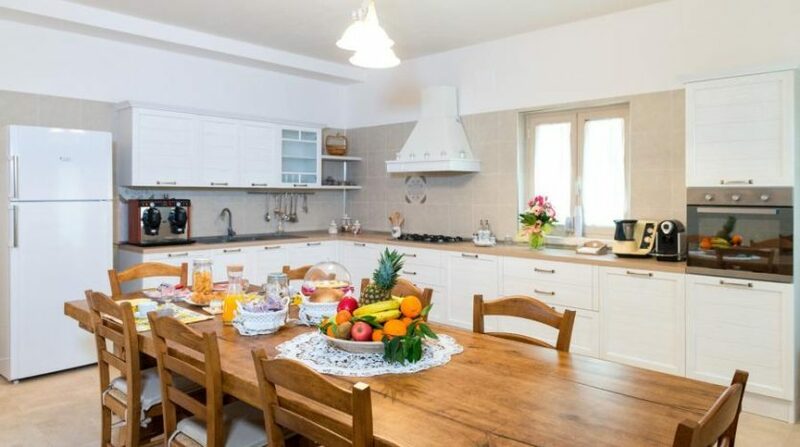 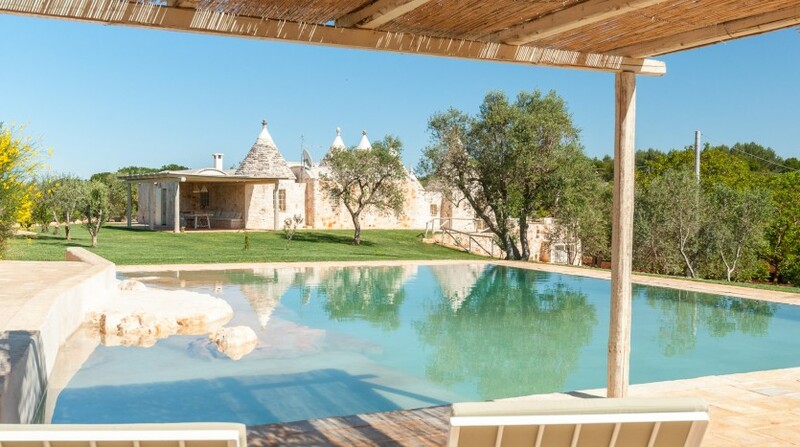 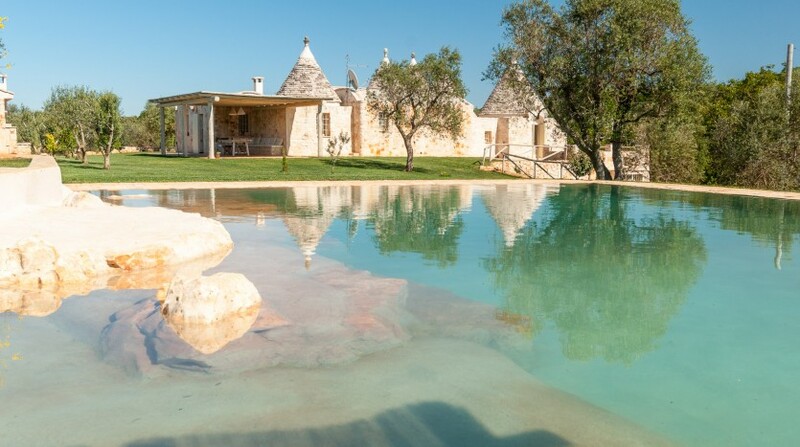 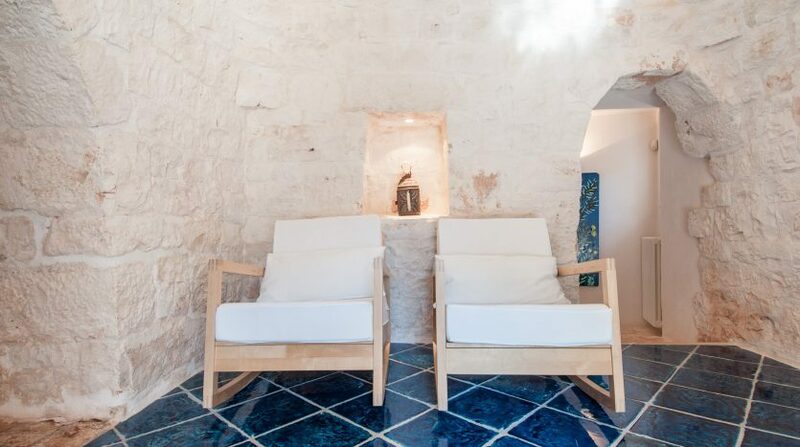 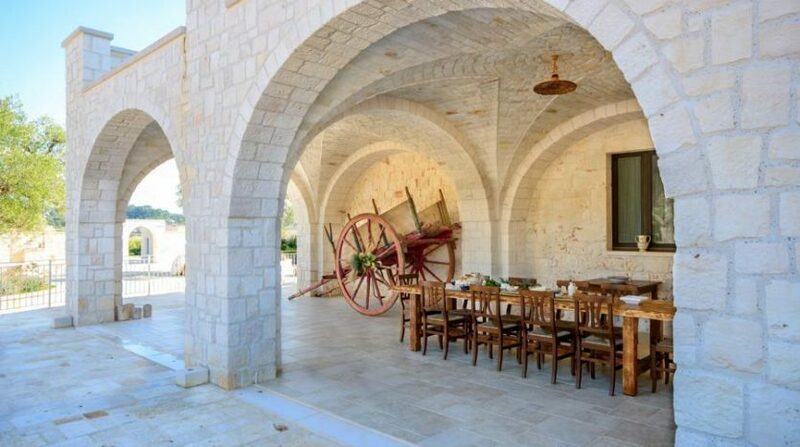 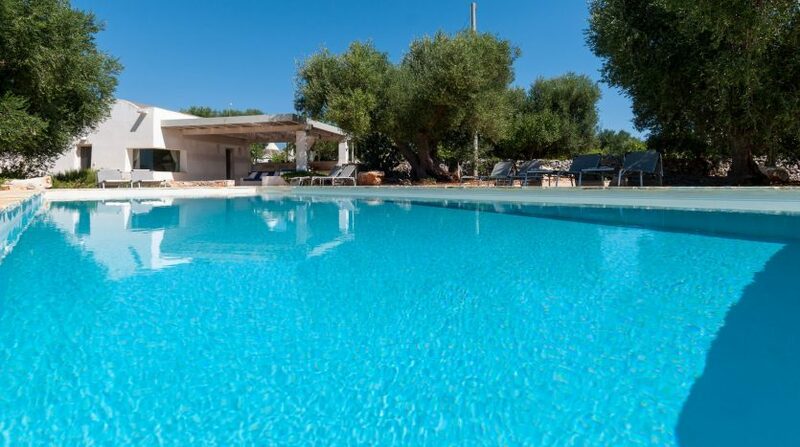 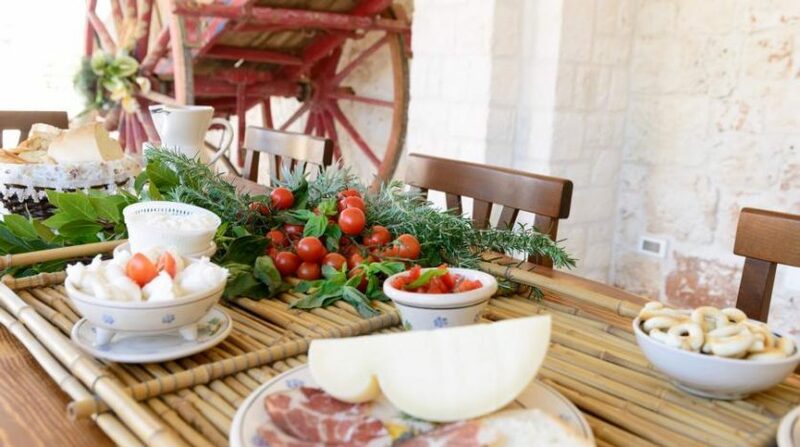 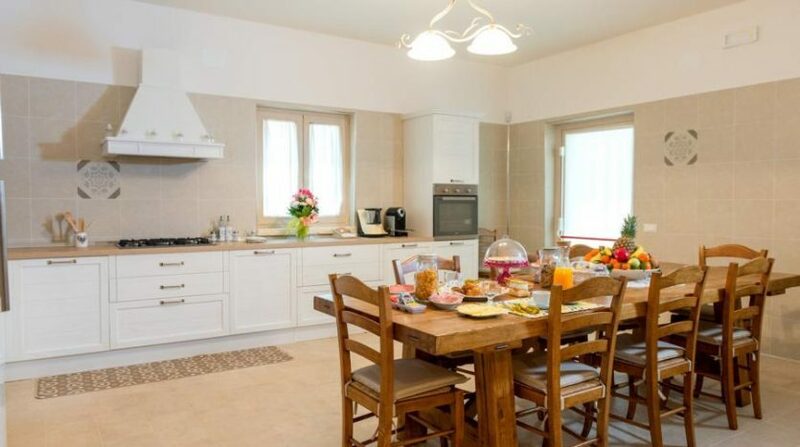 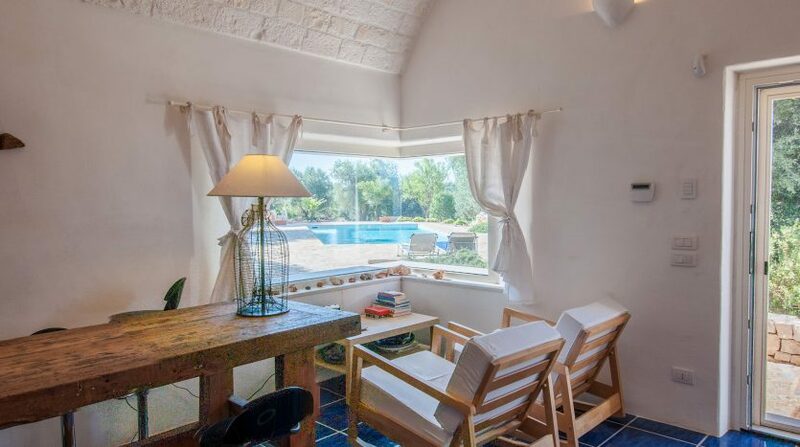 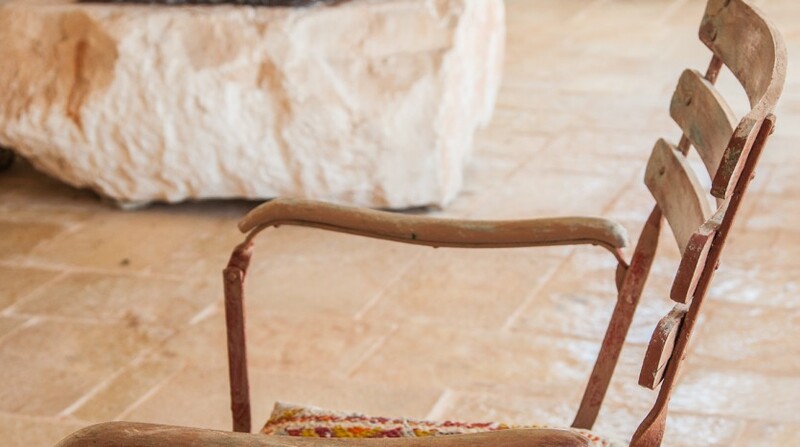 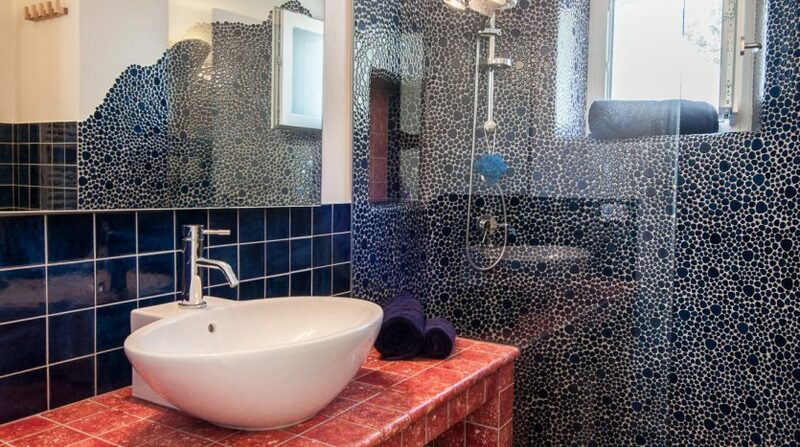 You will experience unforgettable holidays in this charming trulli complex with pool. 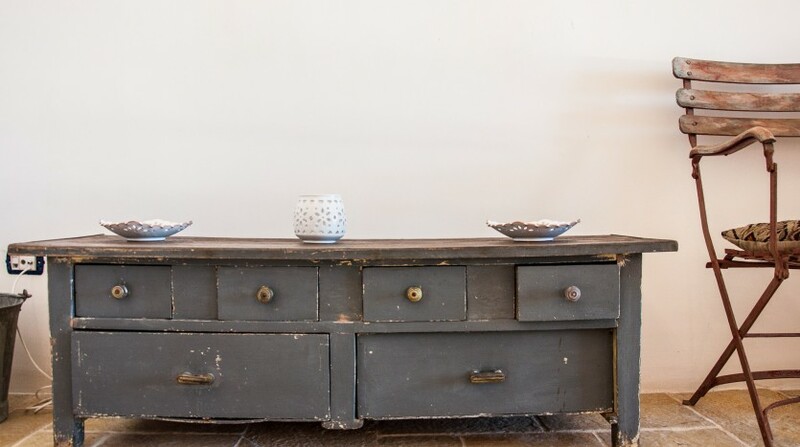 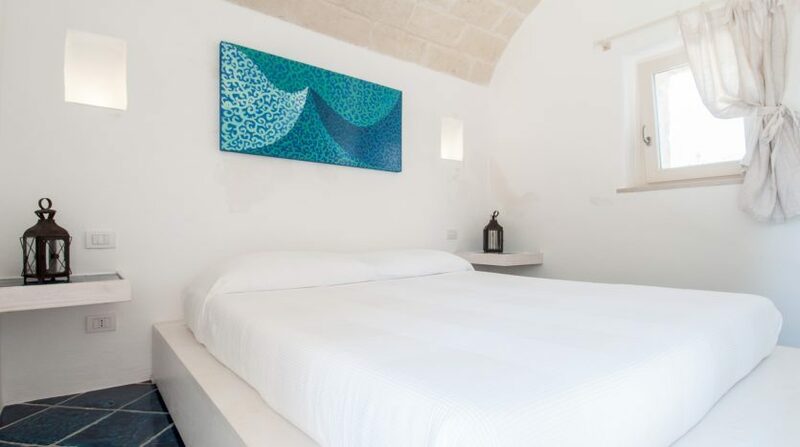 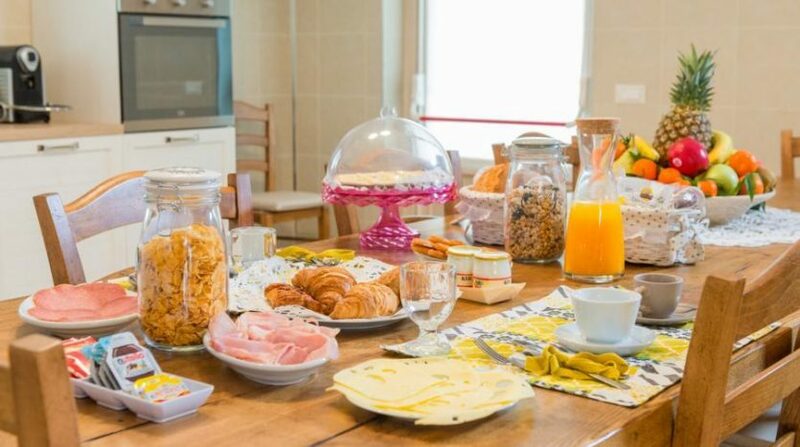 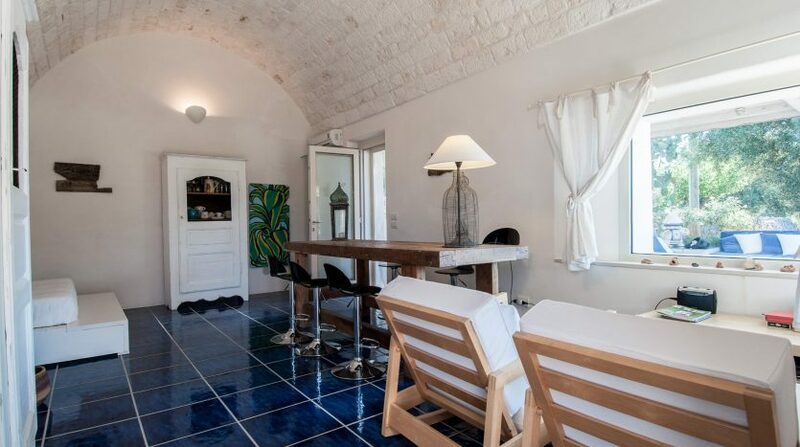 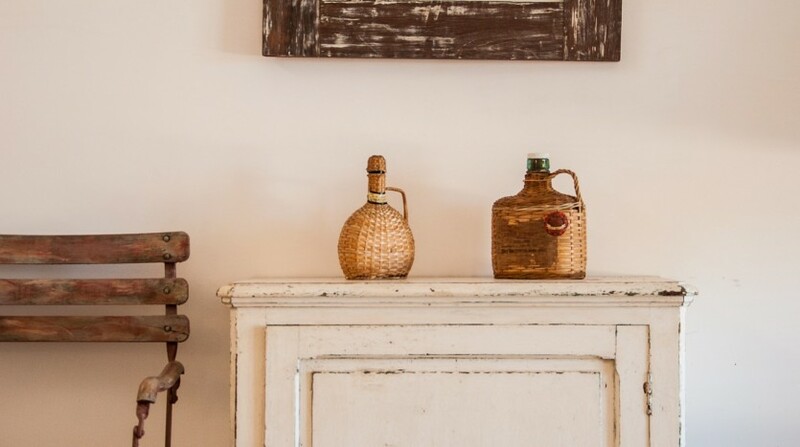 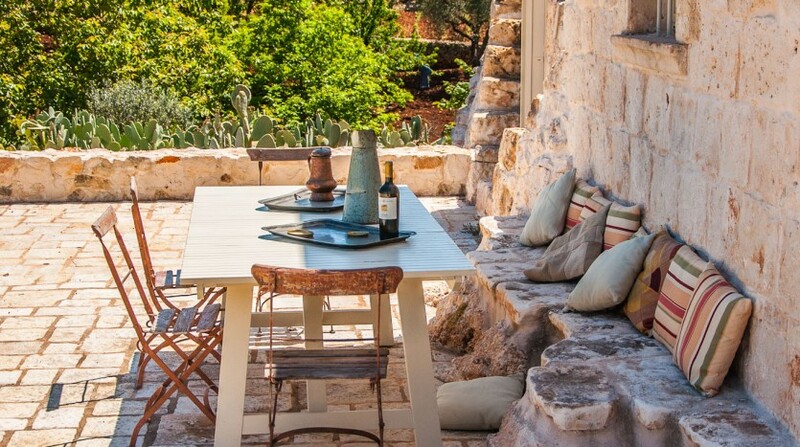 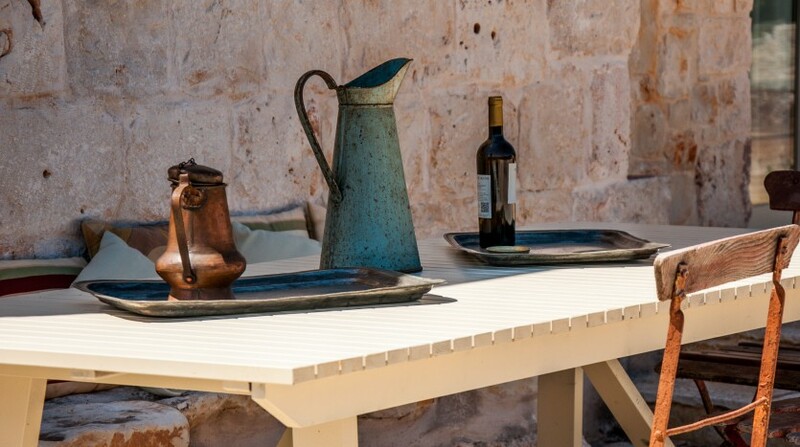 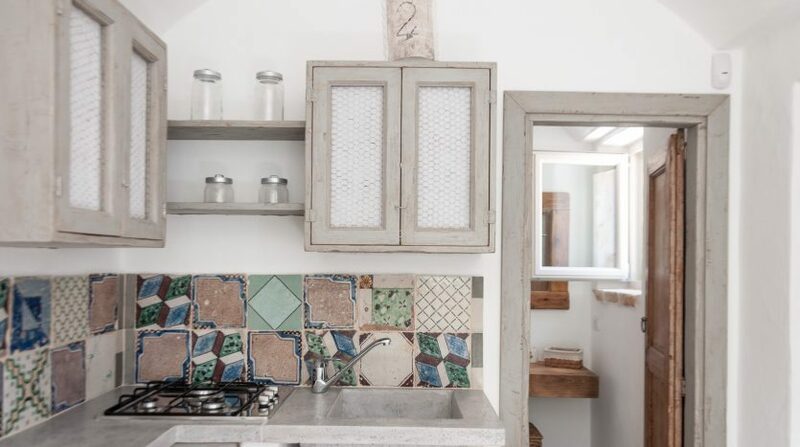 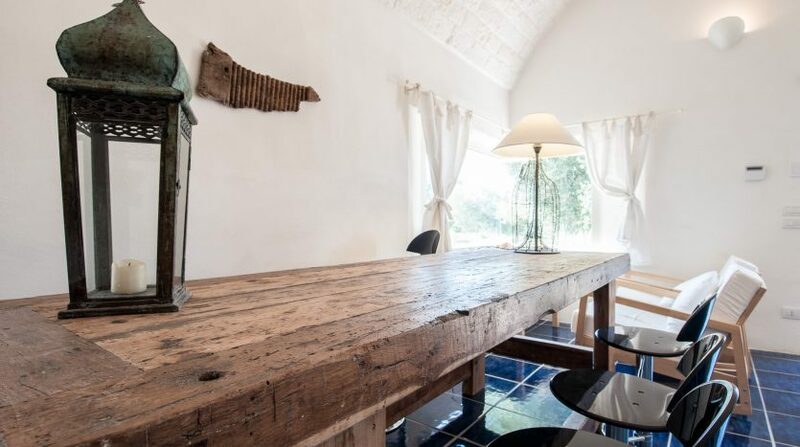 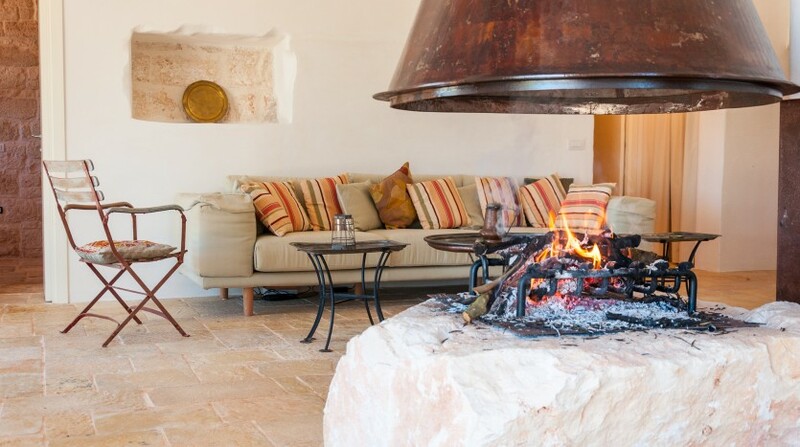 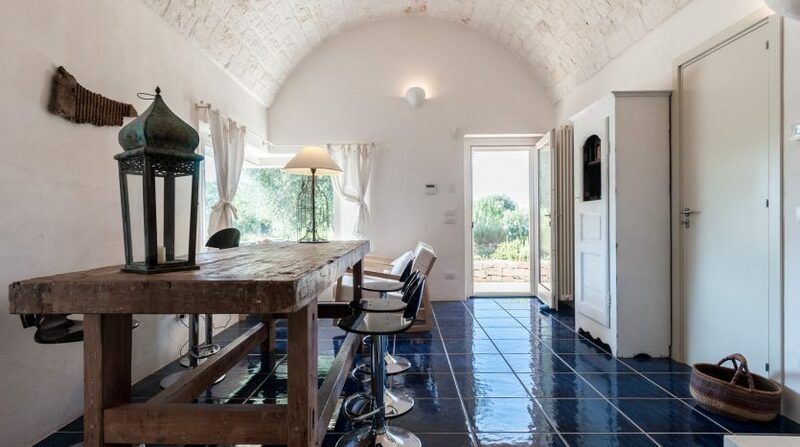 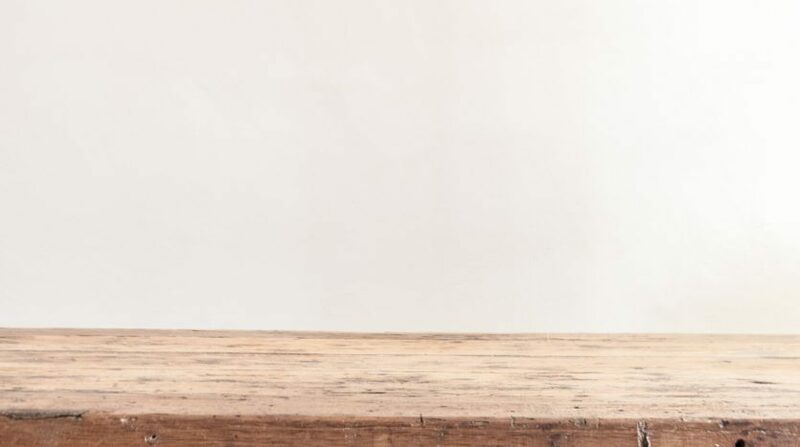 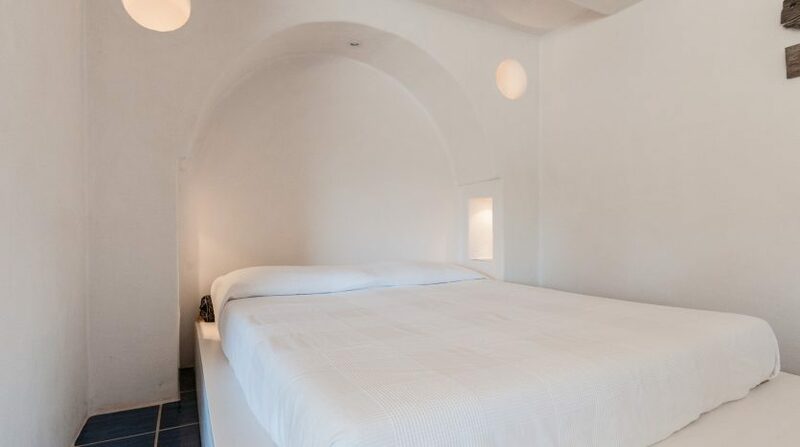 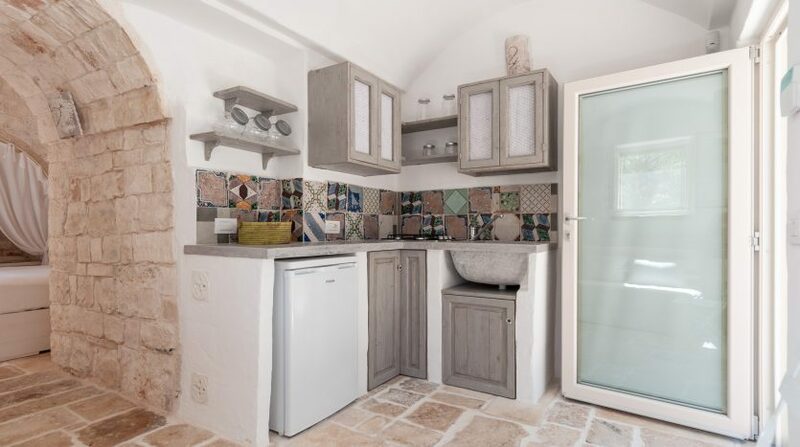 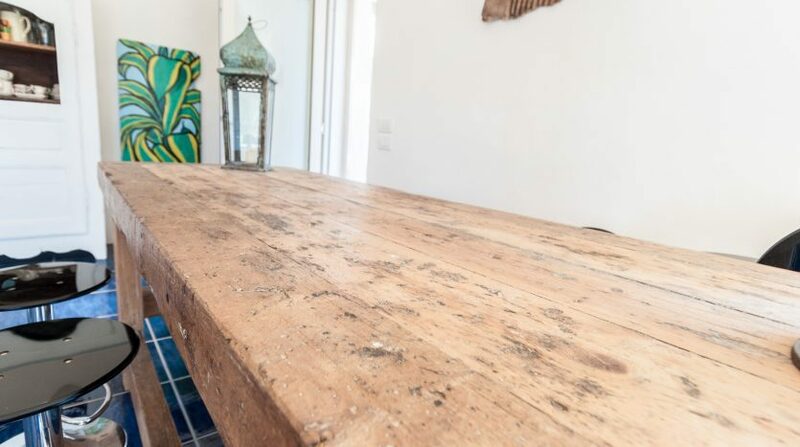 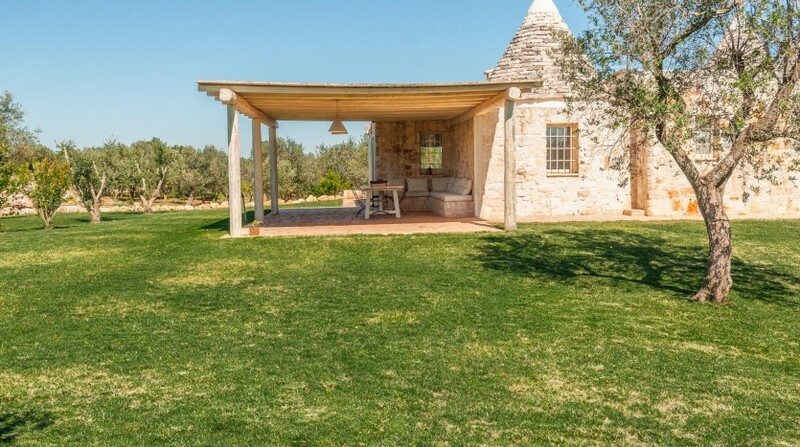 Trulli Rosmarino easily accommodates up to six guests (sleeping accommodation for three further guests is provided by the two comfortable sofa beds). 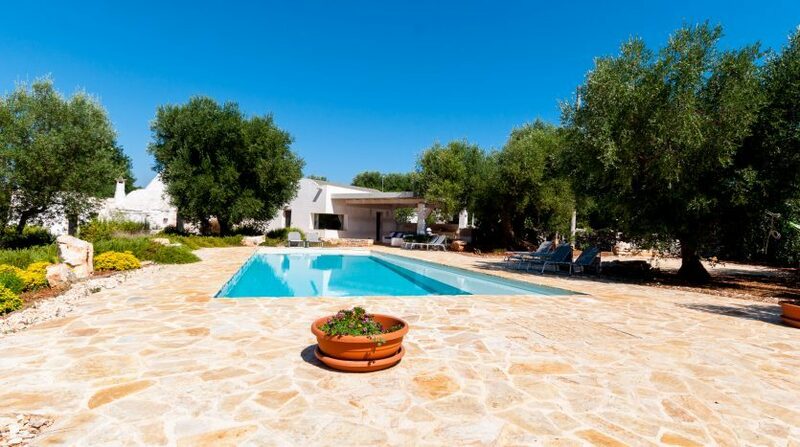 The complex comprises three buildings in the traditional architectural style that surround the splendid pool. 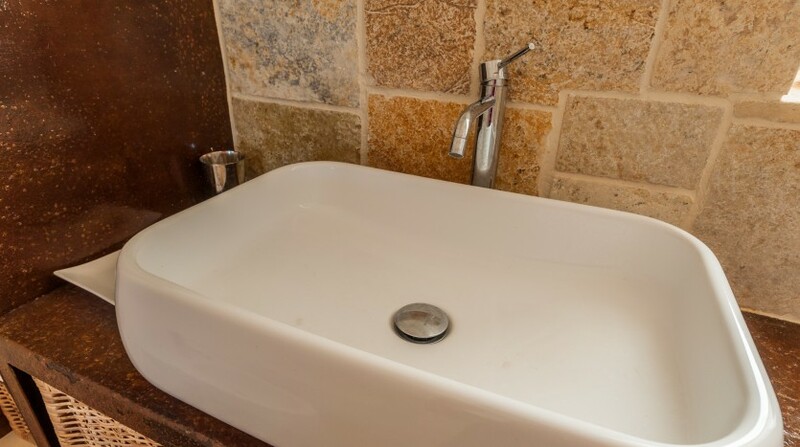 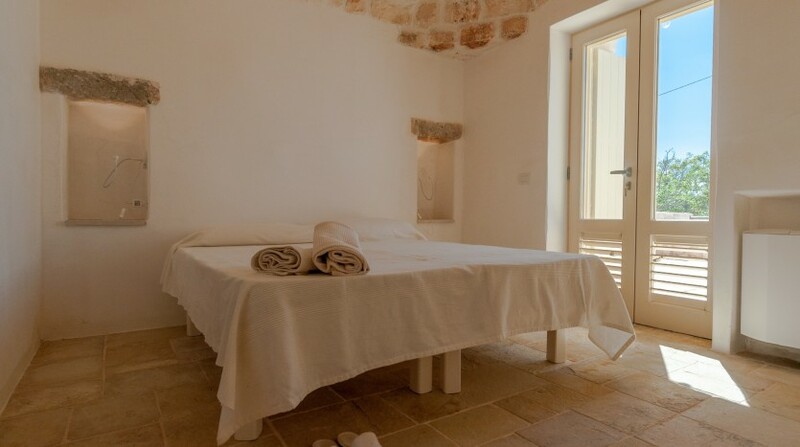 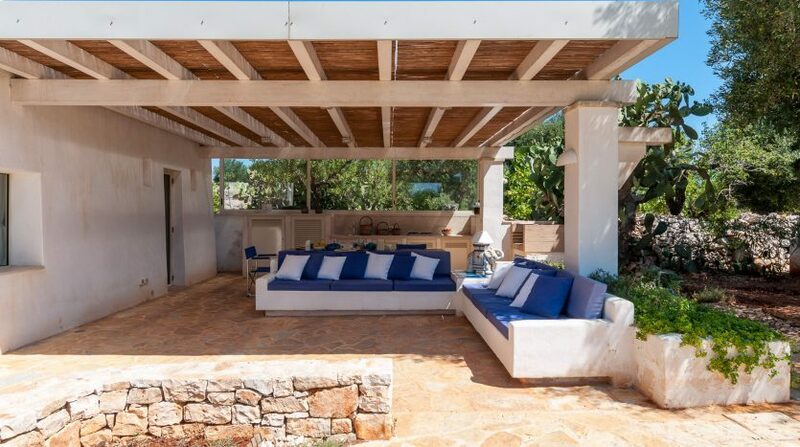 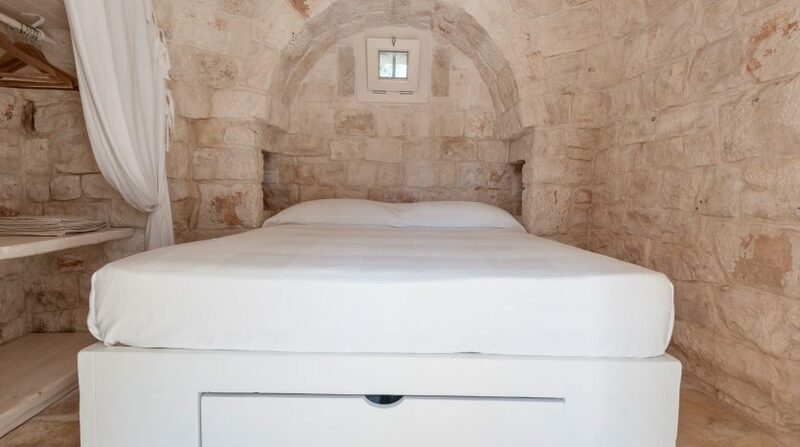 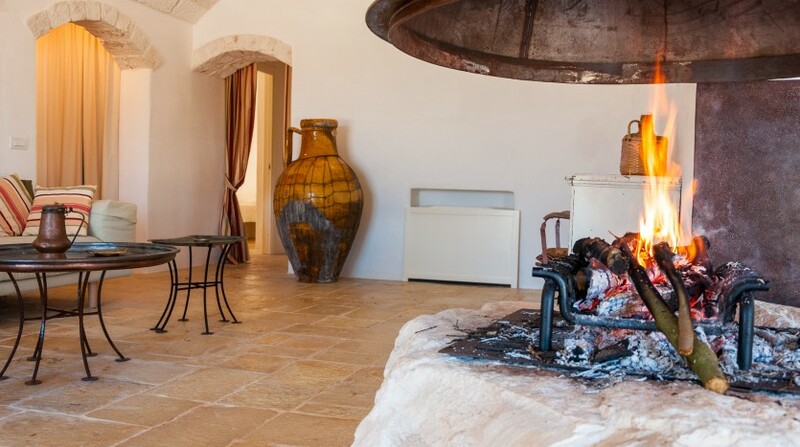 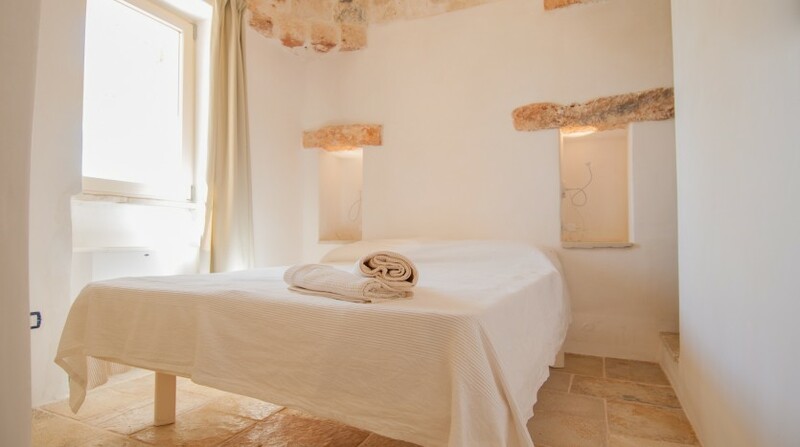 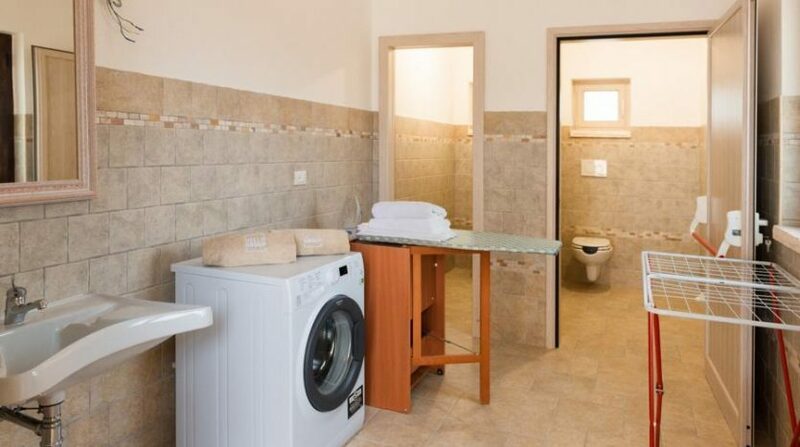 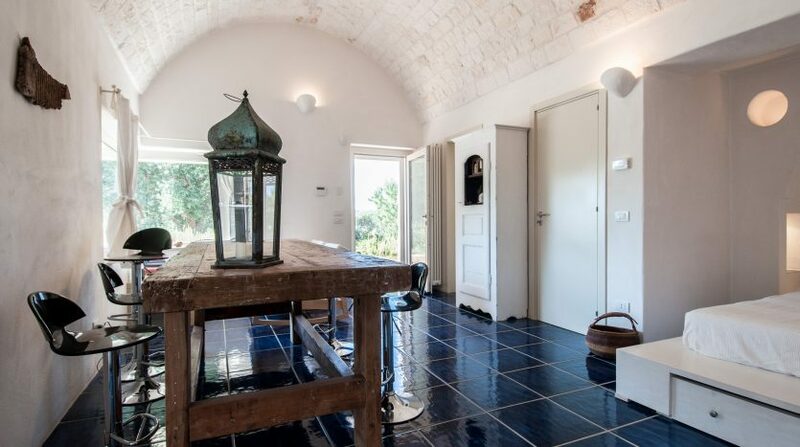 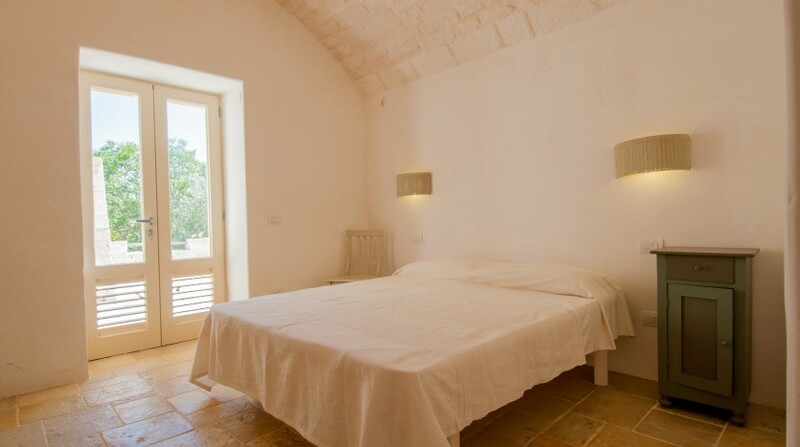 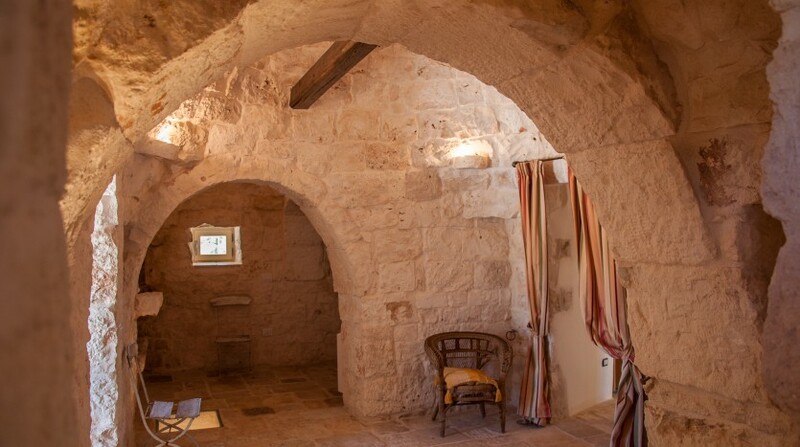 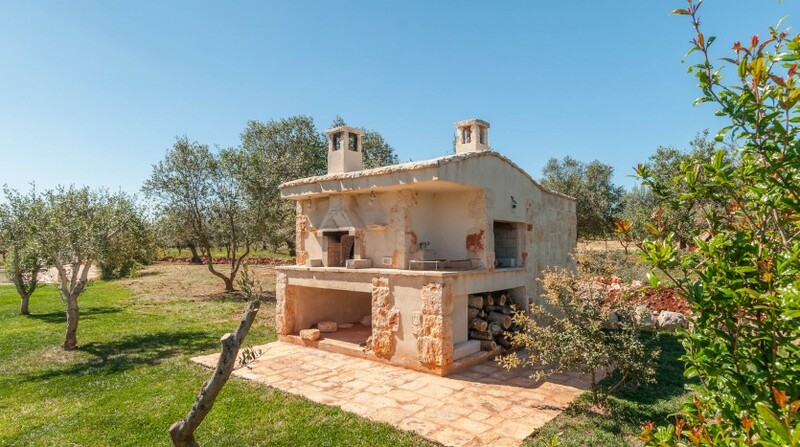 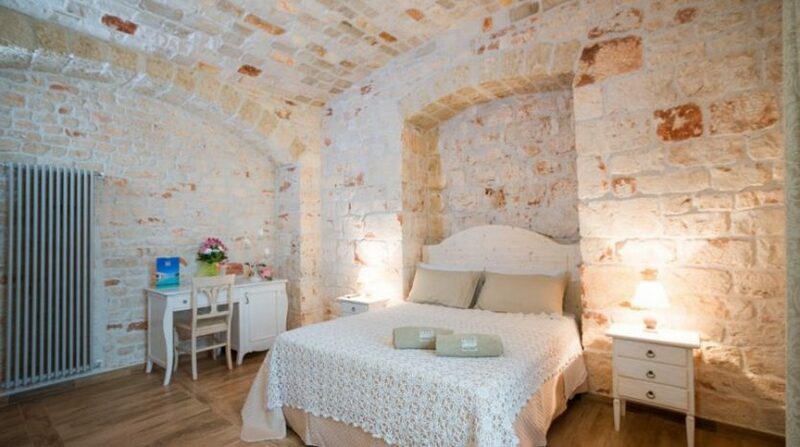 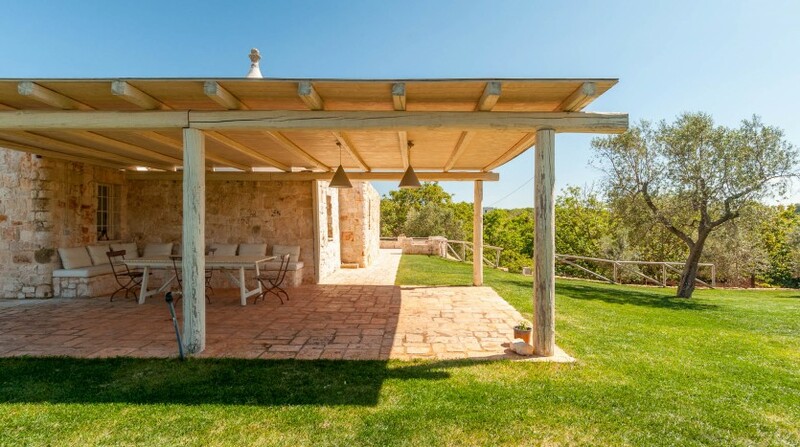 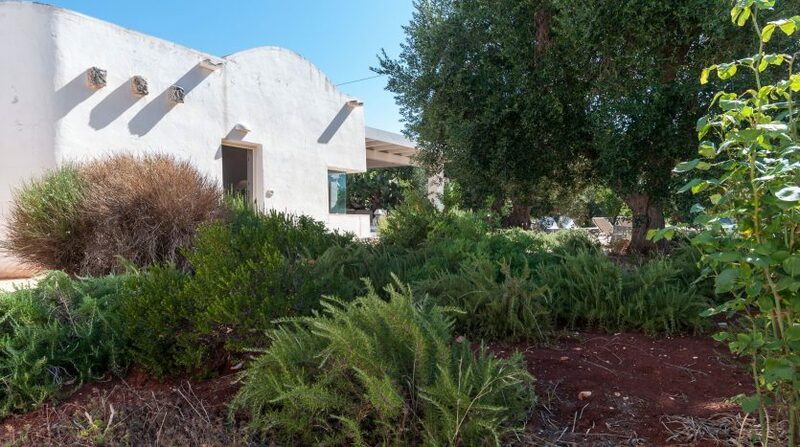 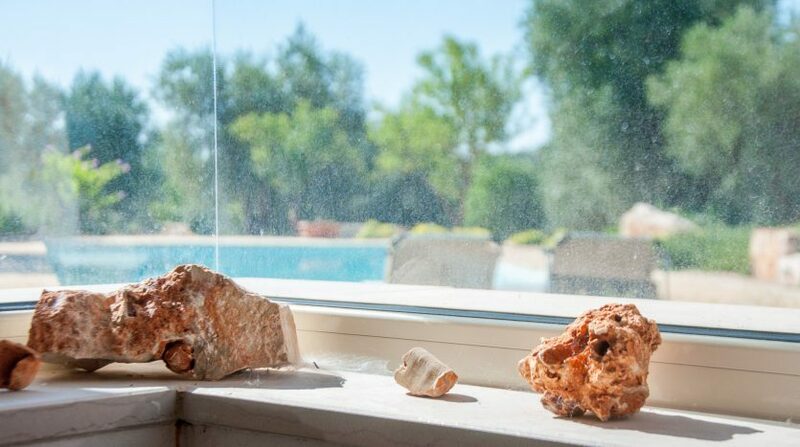 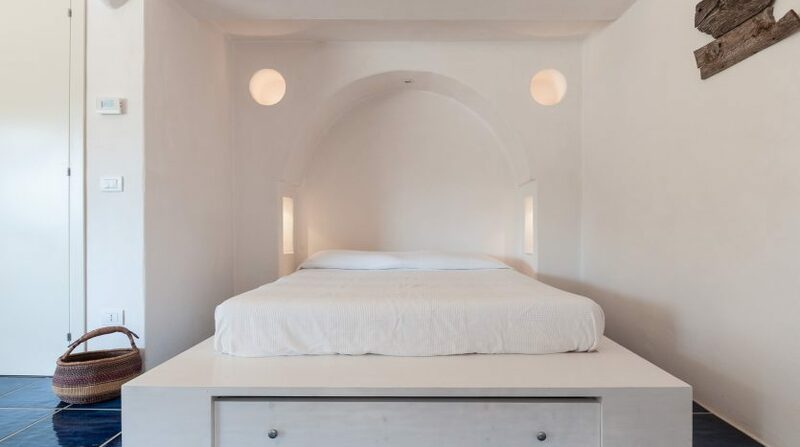 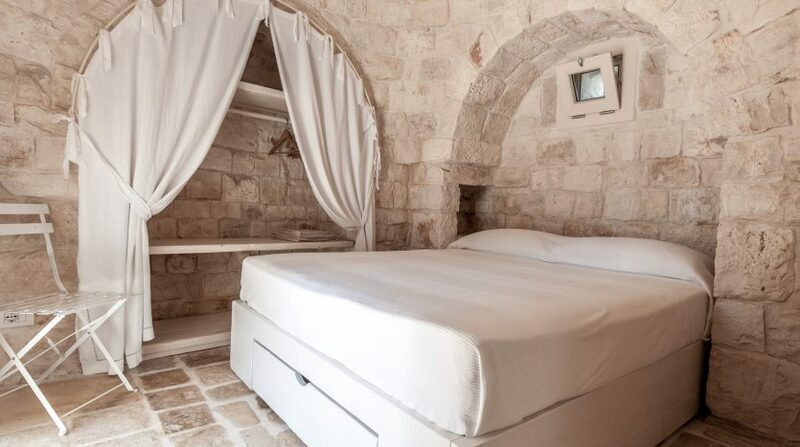 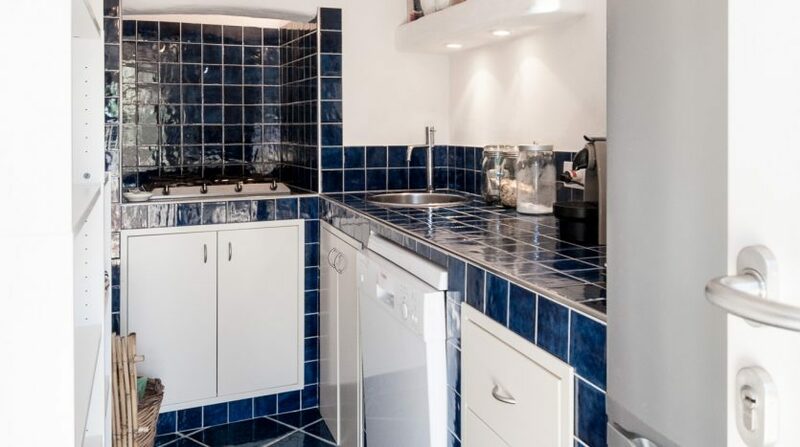 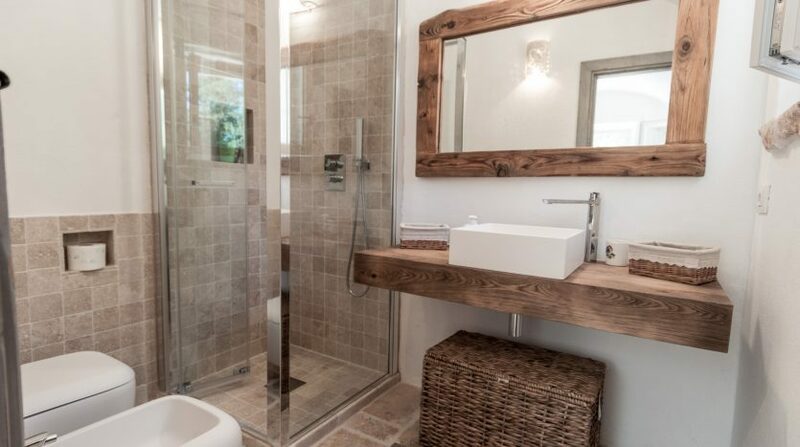 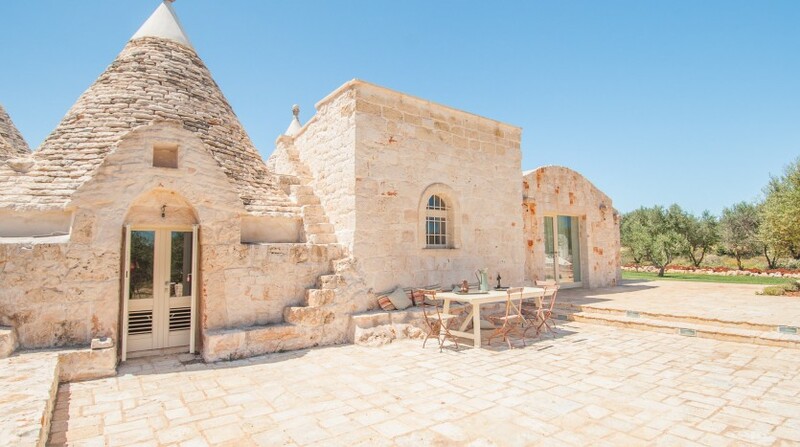 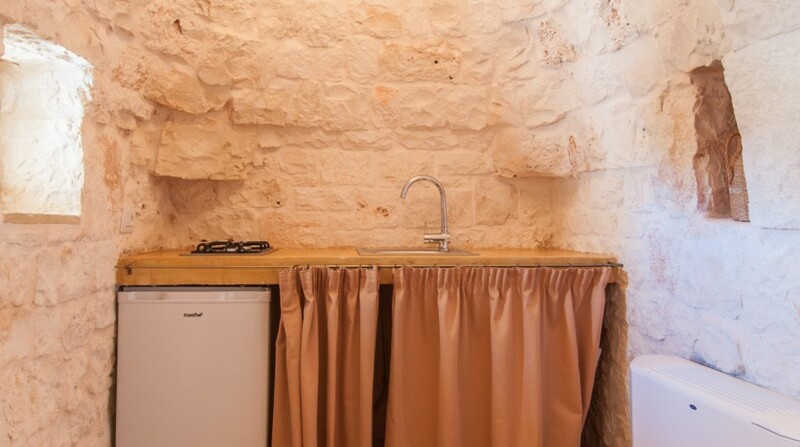 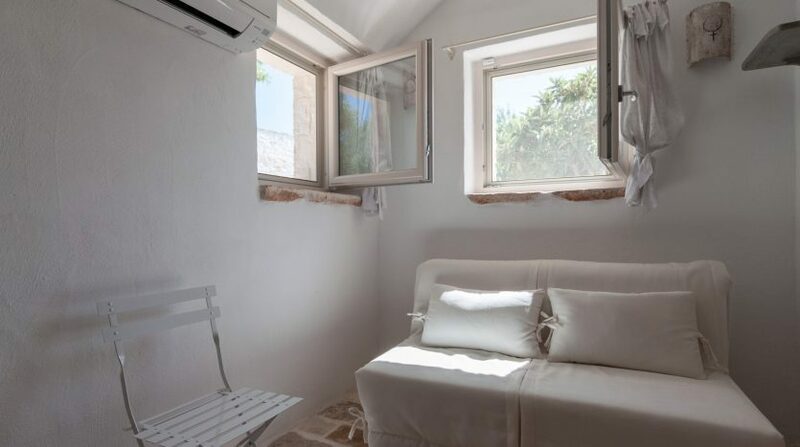 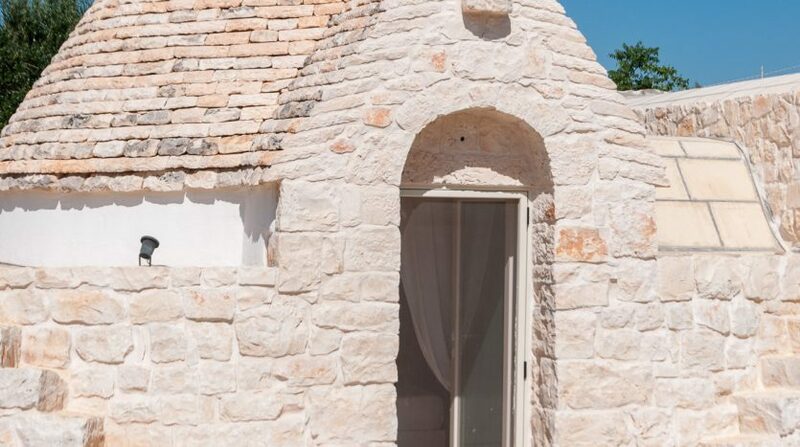 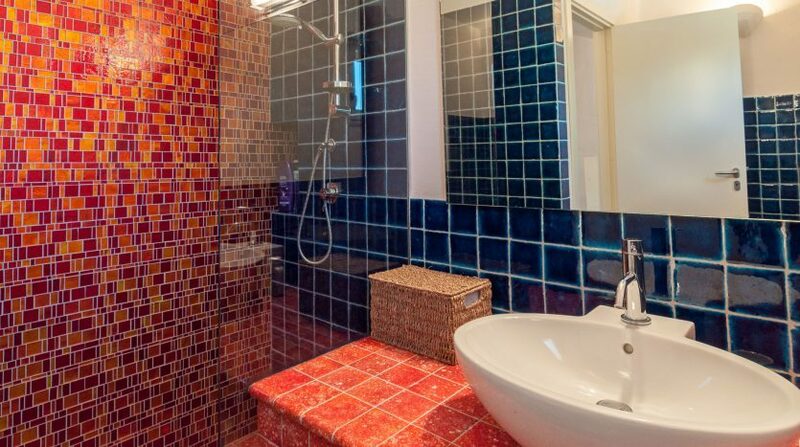 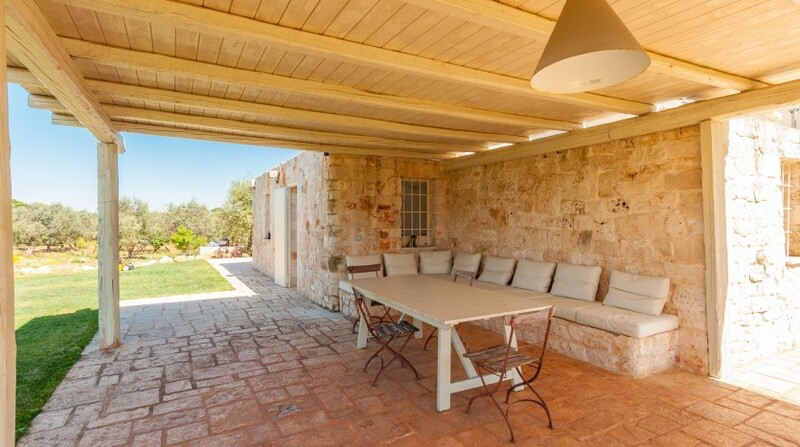 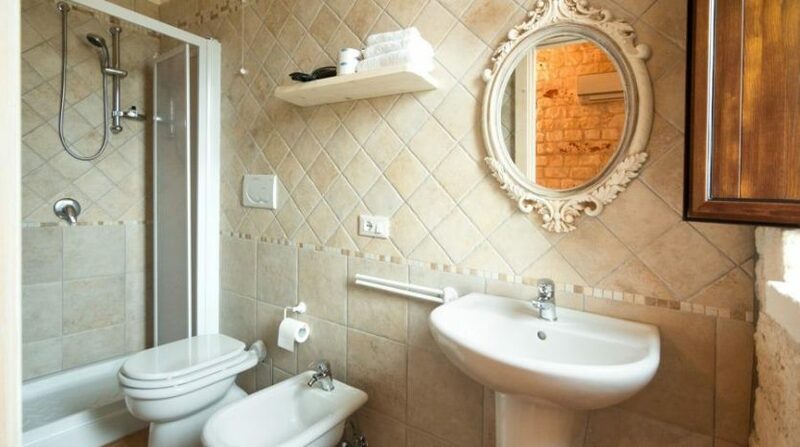 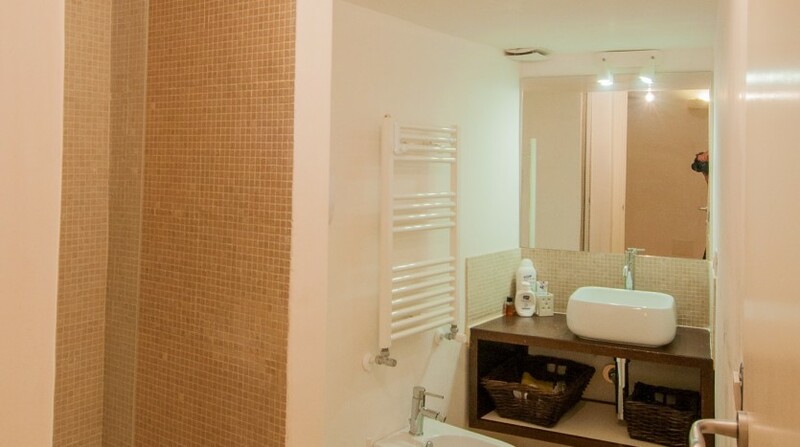 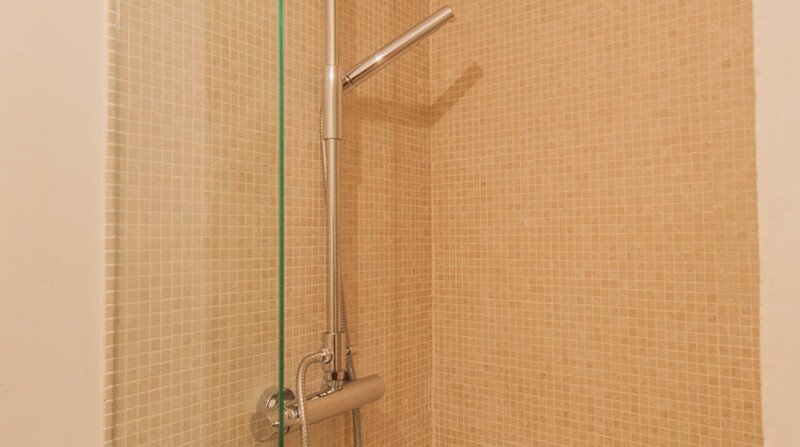 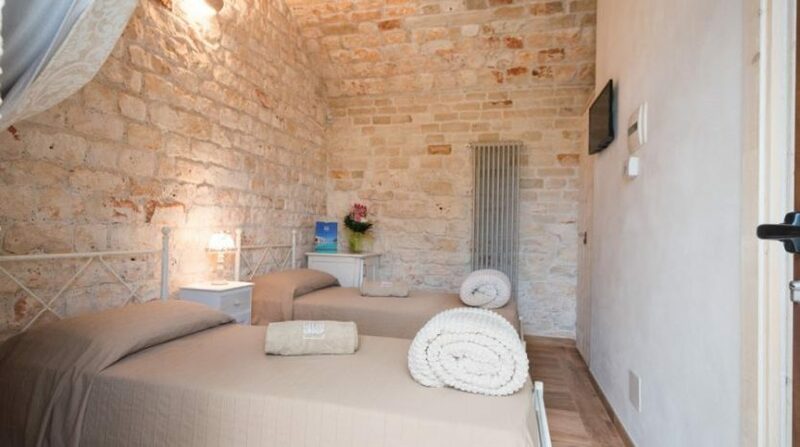 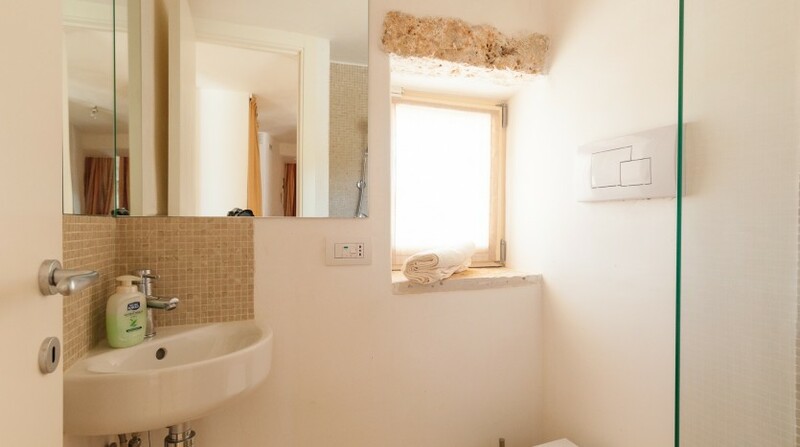 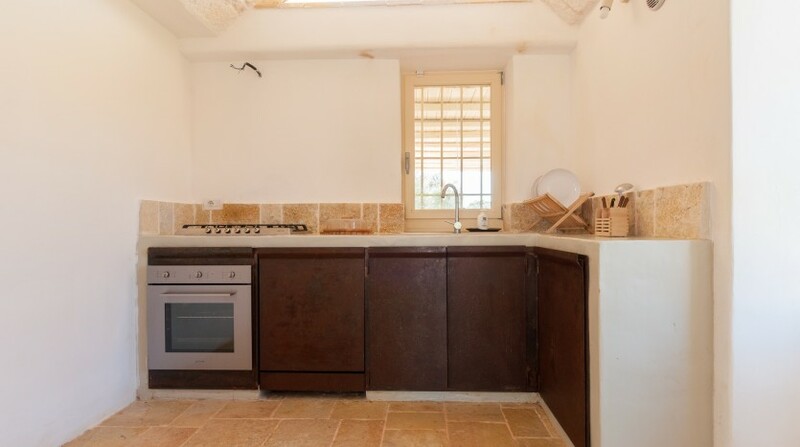 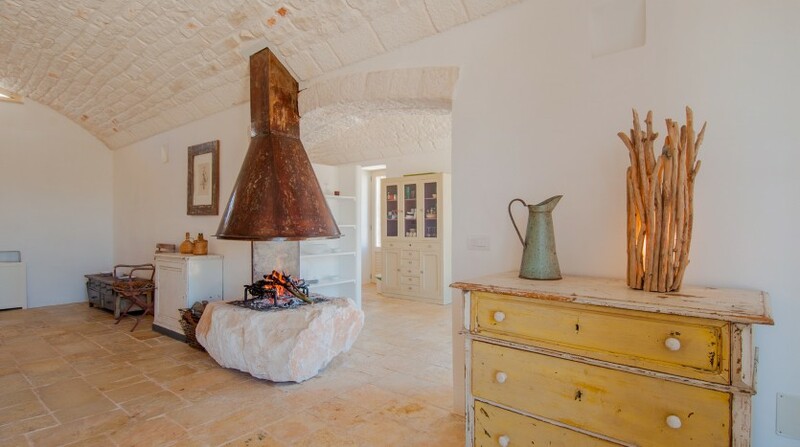 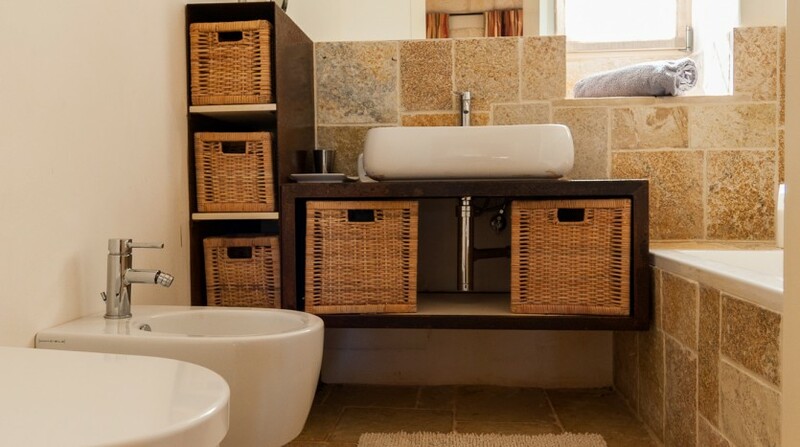 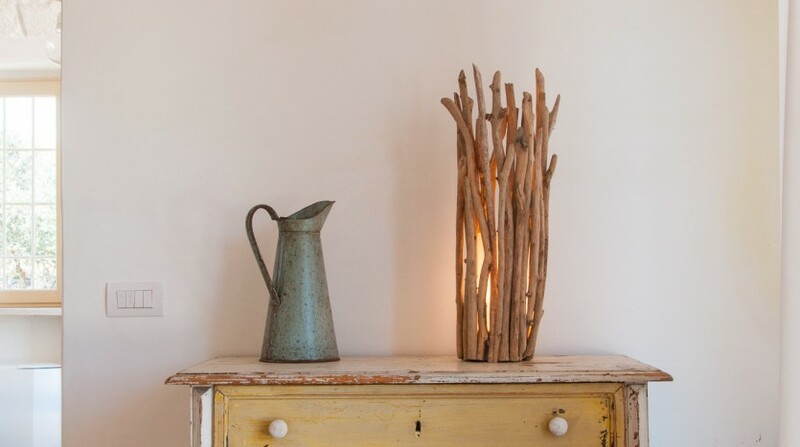 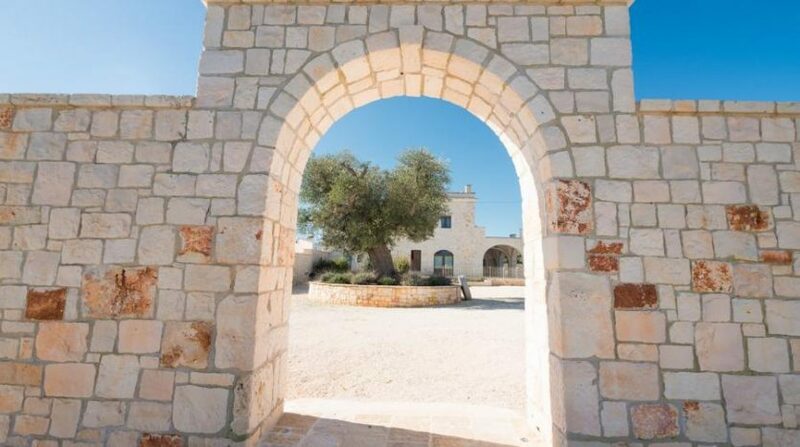 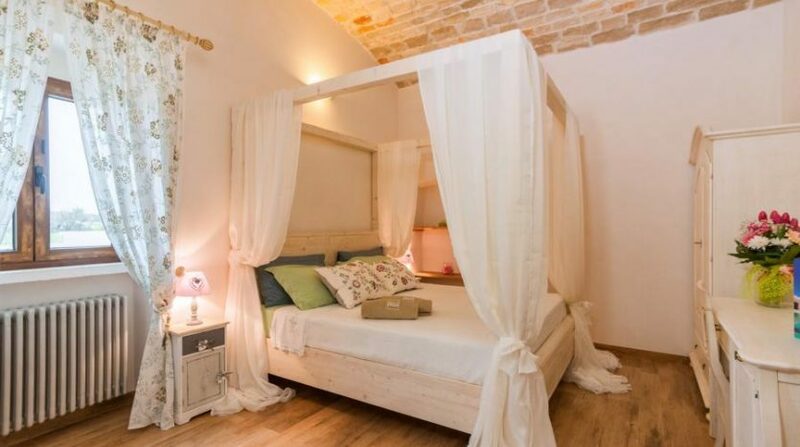 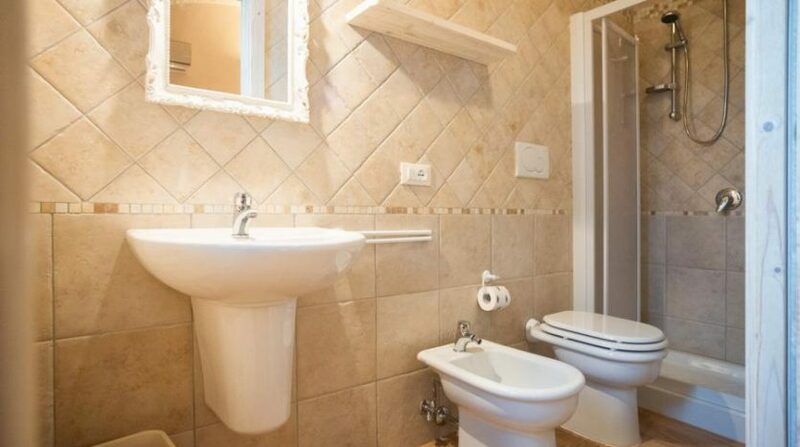 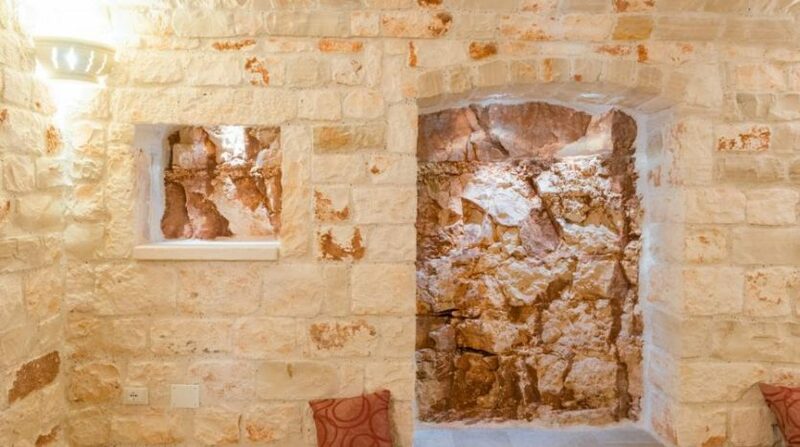 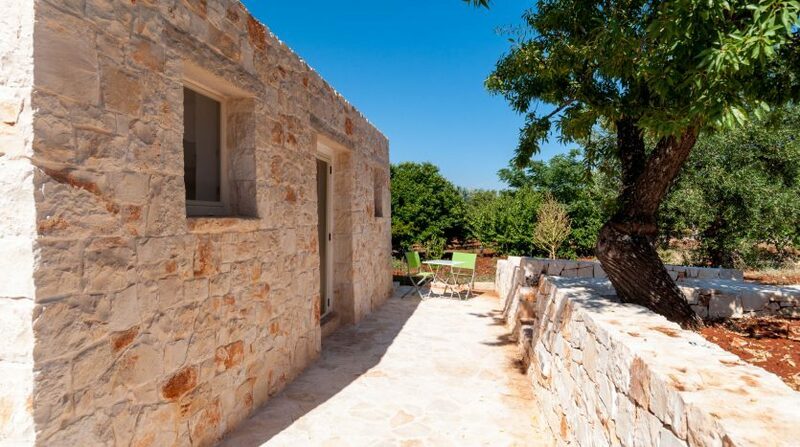 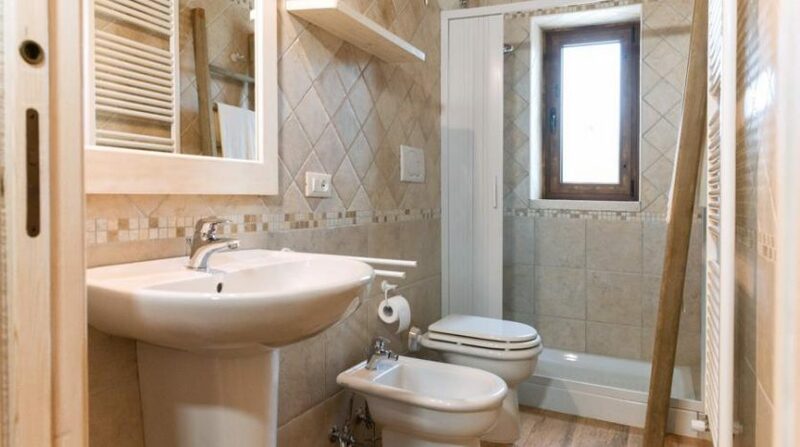 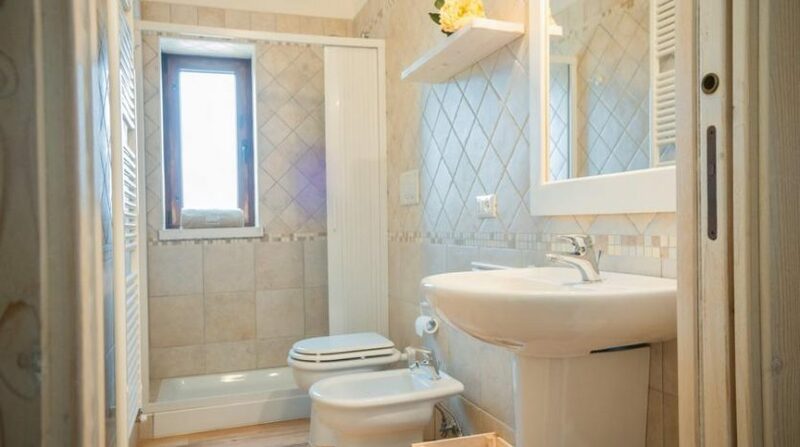 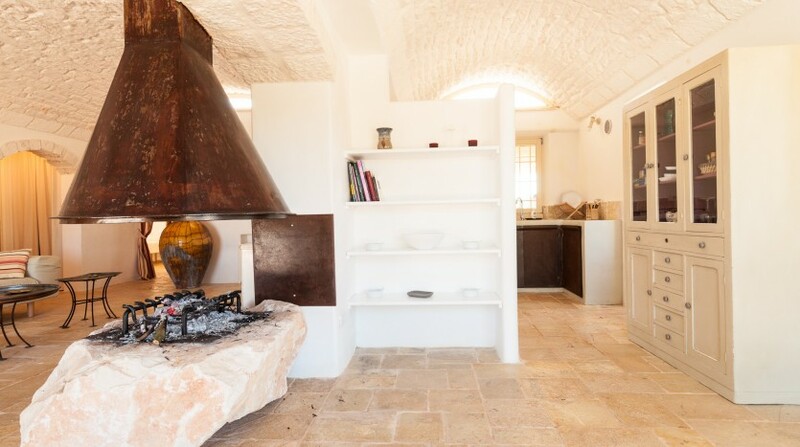 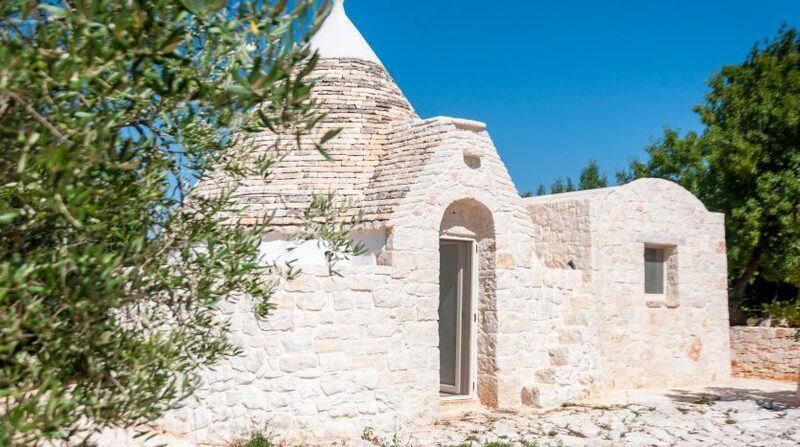 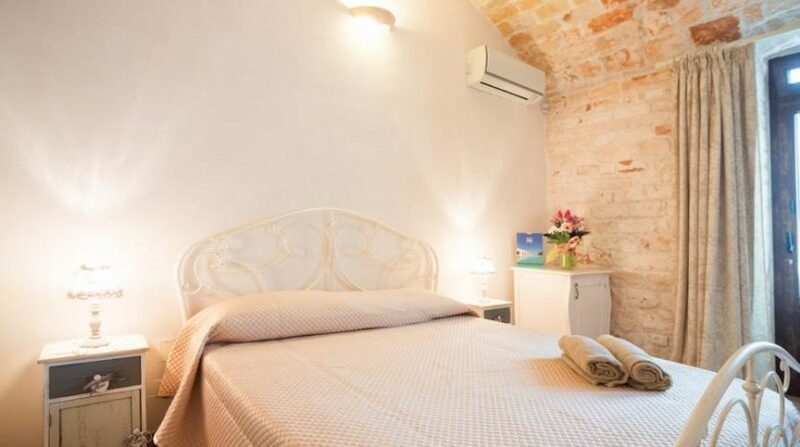 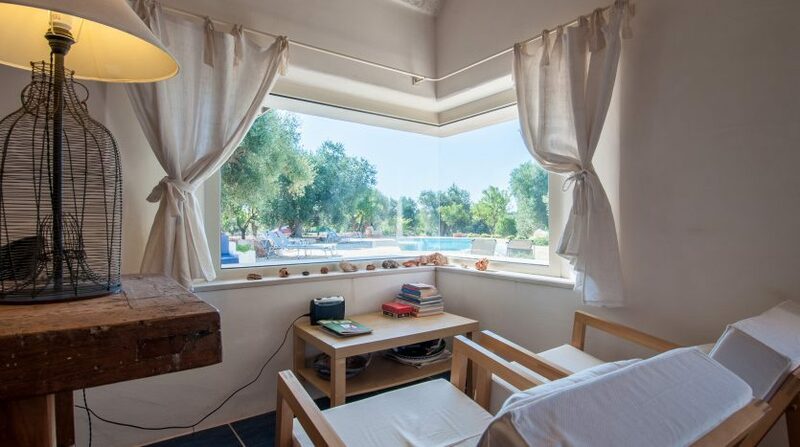 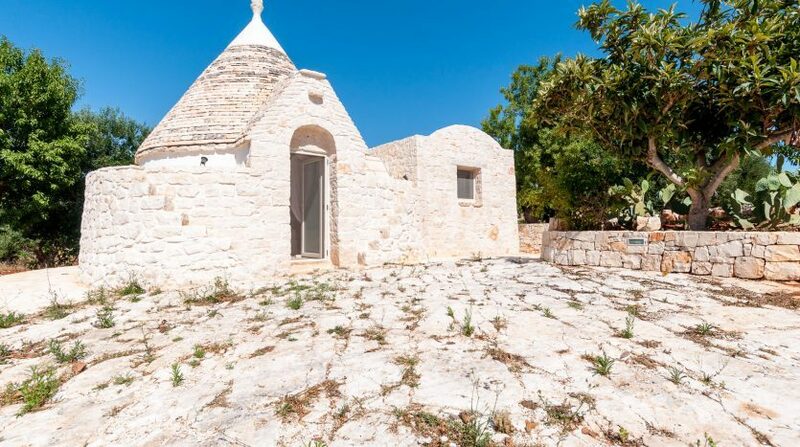 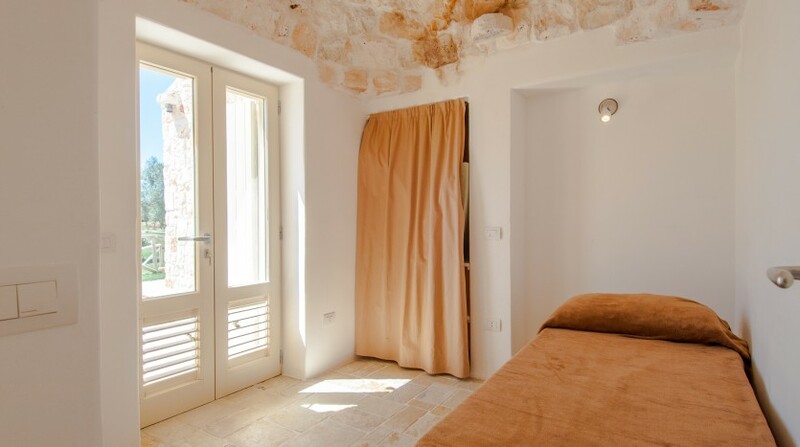 Each trullo is independent with its own bedroom, bathroom with toilet, air conditioning and heating. 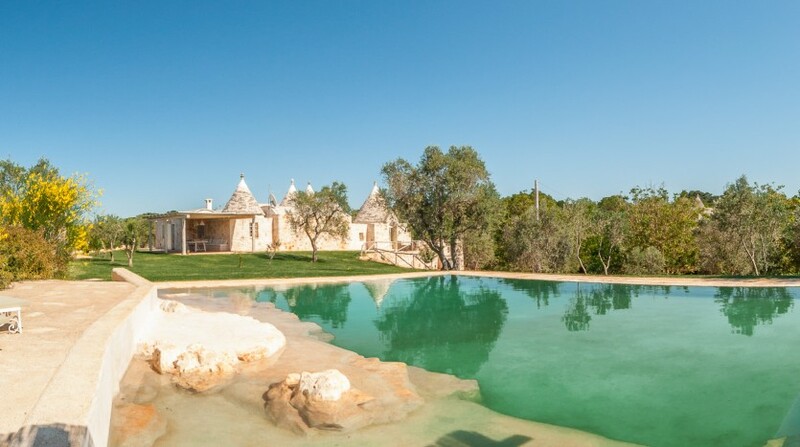 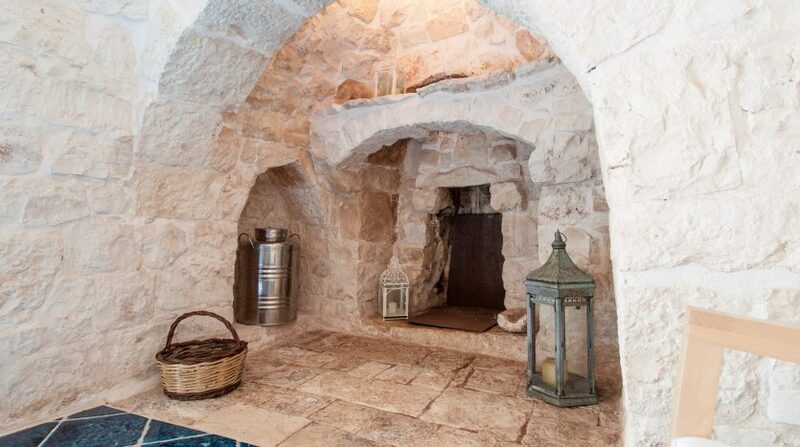 From this delightful trulli complex with pool. 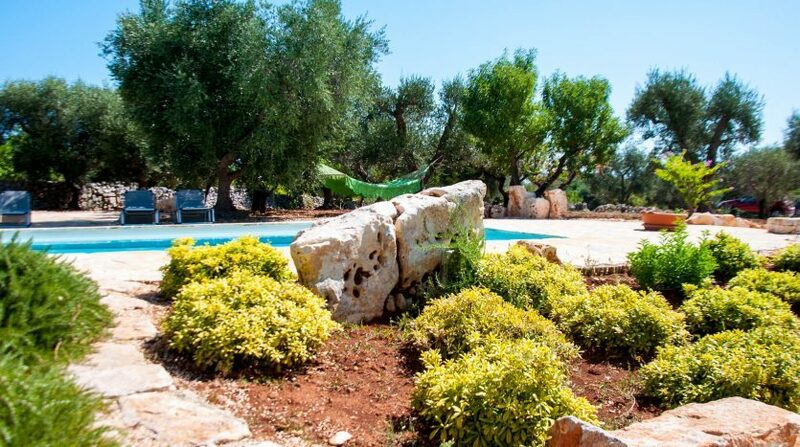 you are only 15-20 minutes’ drive away from the most beautiful towns and villages and the best attractions of the Itria Valley. 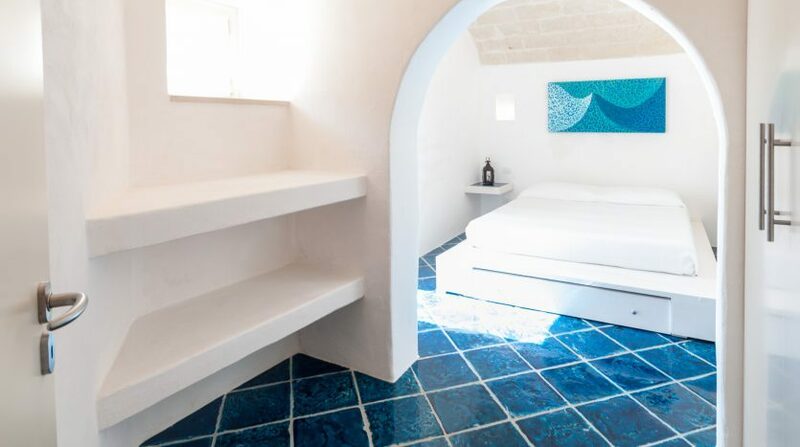 The main tourist destinations are Ostuni (UNESCO World Heritage site, also known as the white city), Martina Franca, Cisternino, Ceglie Messapica and Locorotondo – lovely, perfectly preserved medieval towns with their characteristic narrow alleyways, arches, houses nestled on the hilltop, pretty balconies and squares displaying an abundance of flowers. 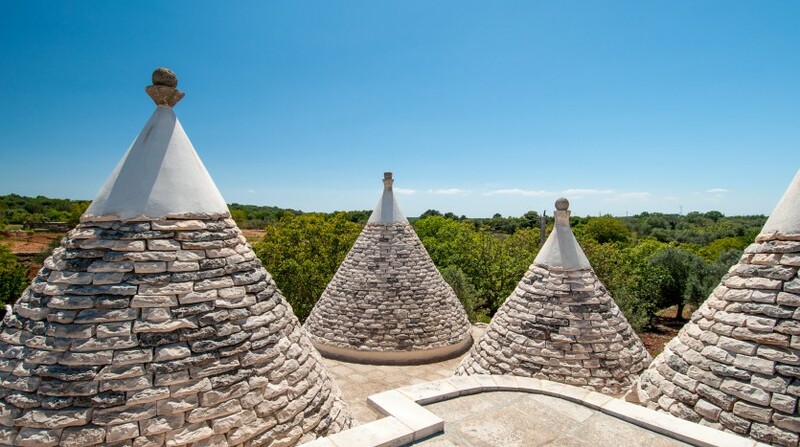 An absolute must is Alberobello, the perfect representation of Apulian trulli and unique in Europe. 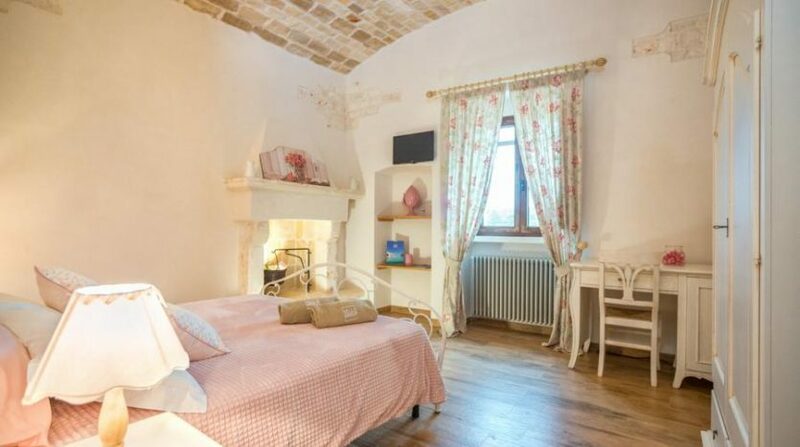 A 2-hour drive away are Lecce (with its own unique baroque style, it is sometimes called the Florence of the South), Matera (the town of the Sassi settlements cut into the rock, a UNESCO World Heritage site and a 2019 European Capital of Culture), and the enchanting and mysterious citadel of Castel del Monte, built by Frederick II. 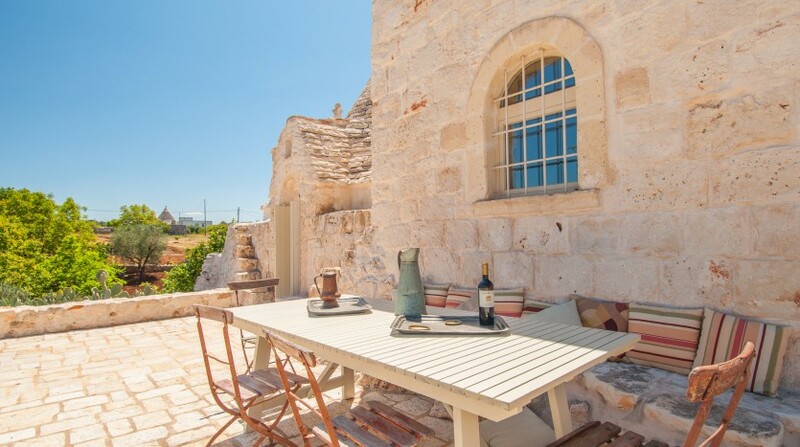 The Apulian coast is dotted with lovely intimate bays. 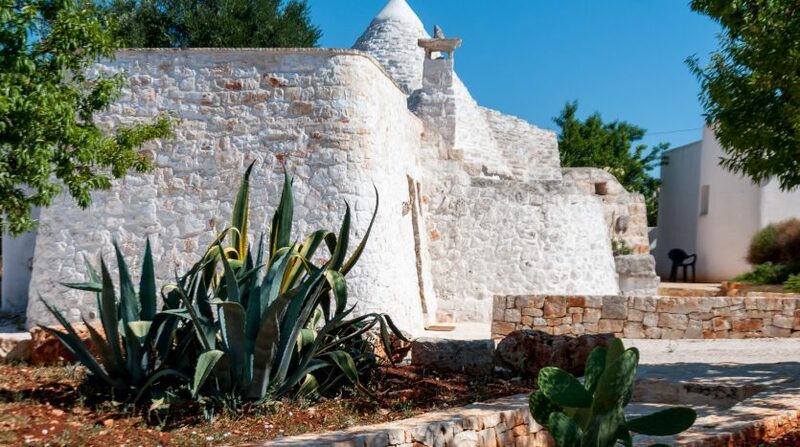 White sandy beaches on the Adriatic coast, the beautiful city of Otranto with its rich history or, on the Ionian side, the Maldives of Salento with the city of Gallipoli.